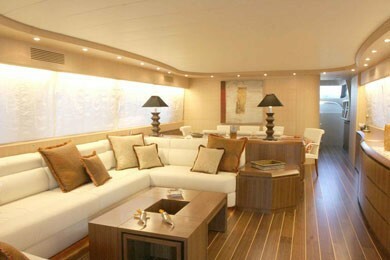 MY LIFE offers elegance, comfort and spacious living areas to her guests. 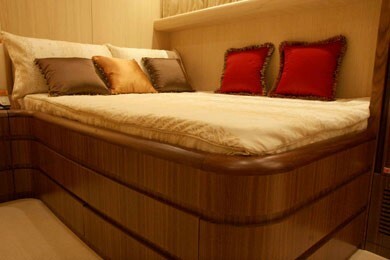 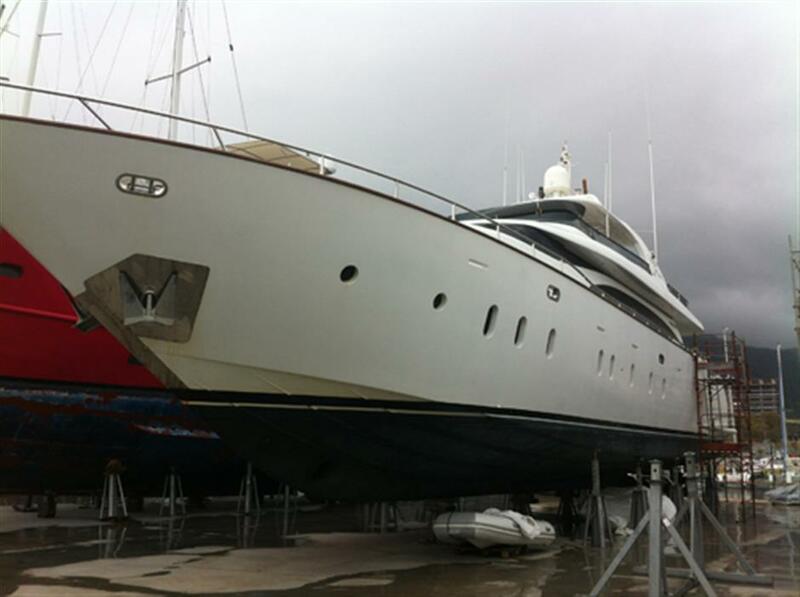 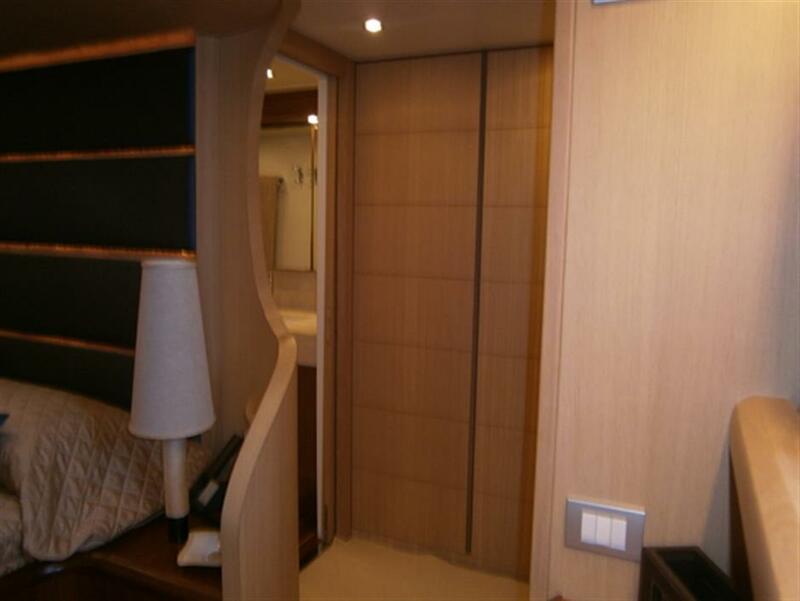 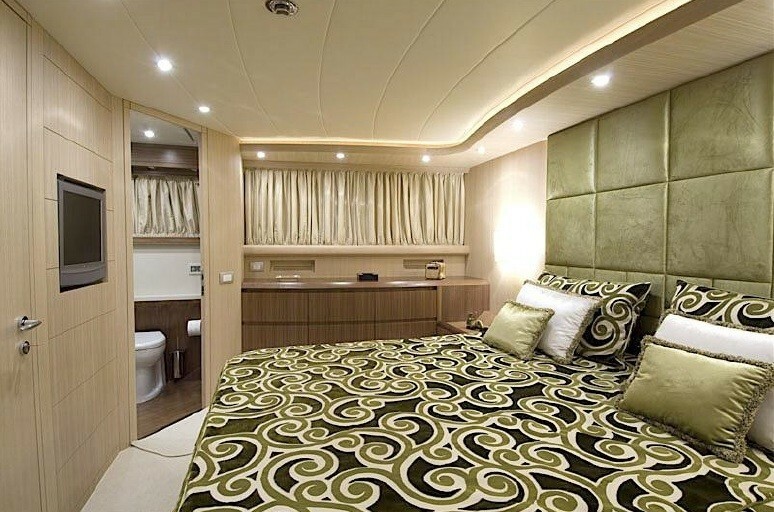 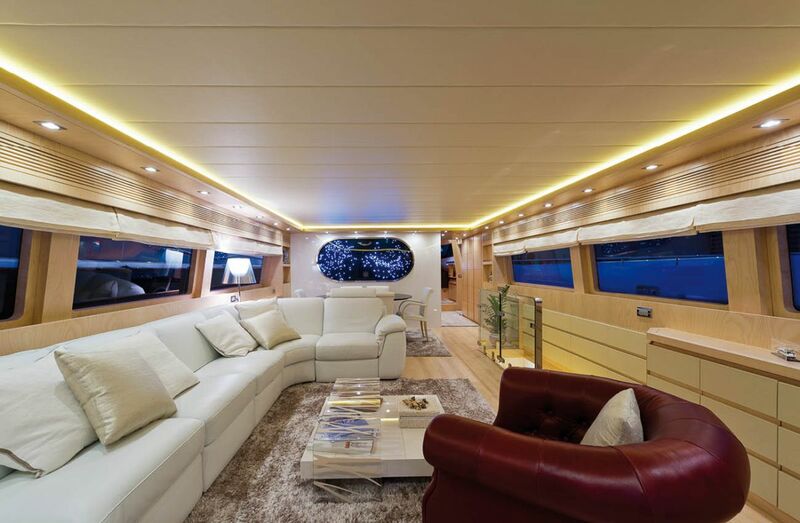 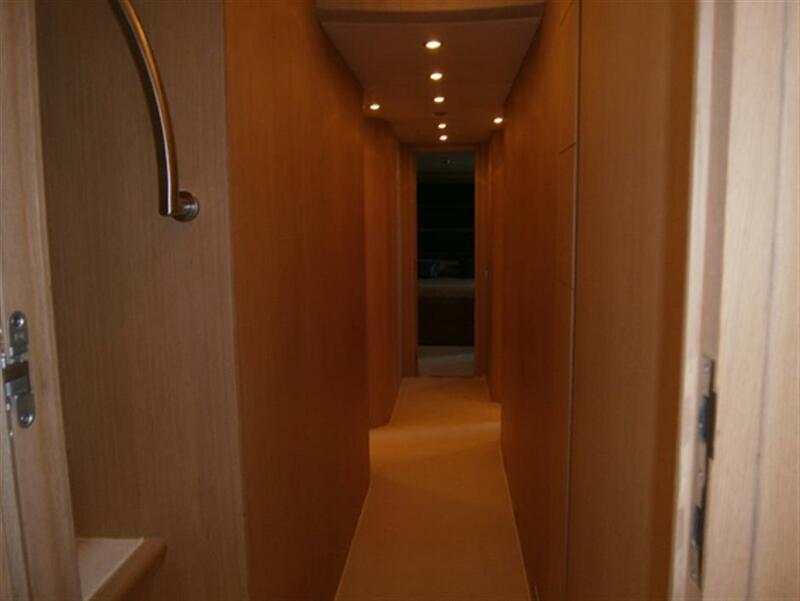 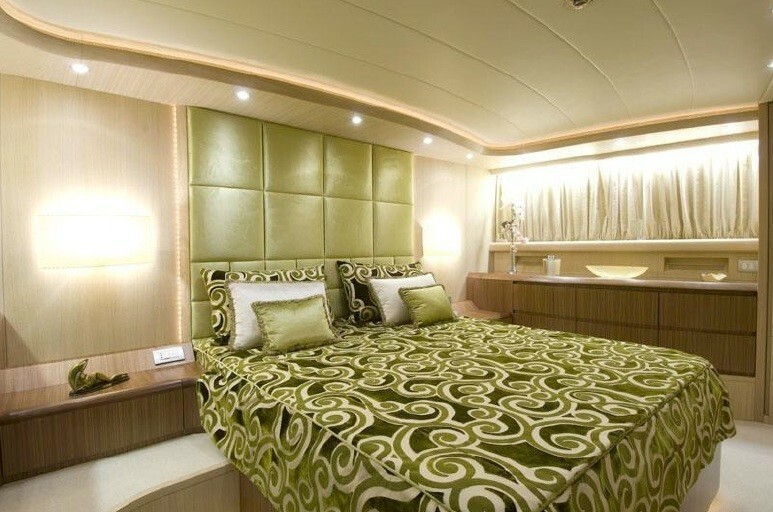 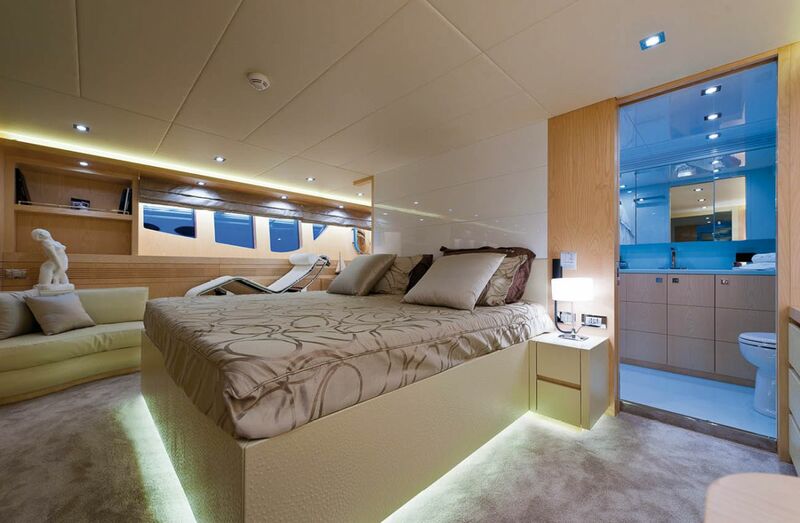 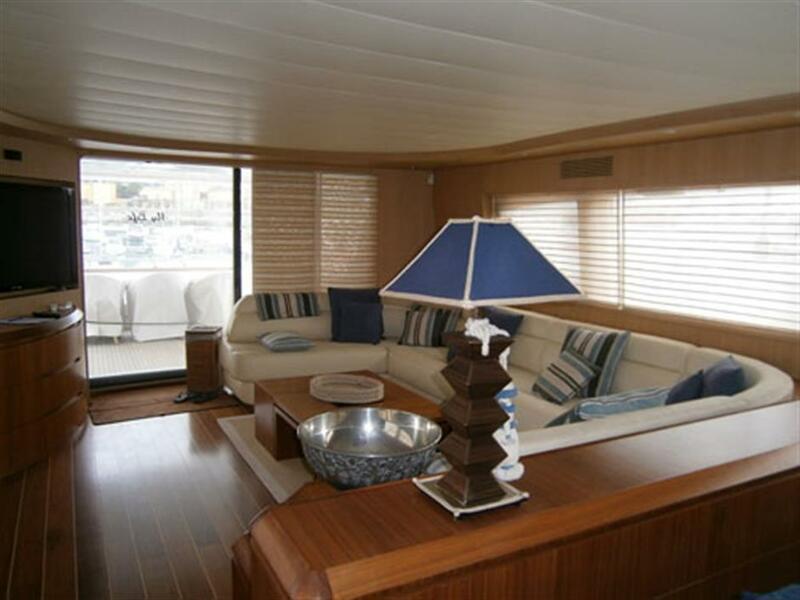 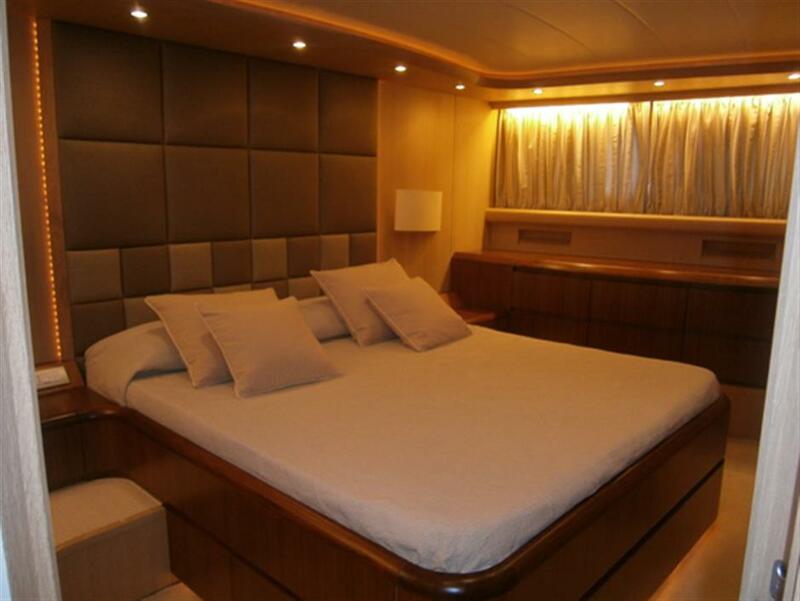 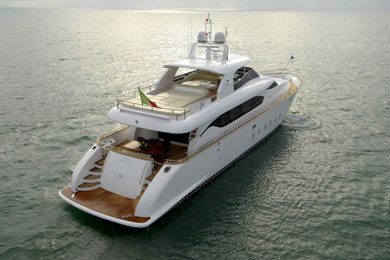 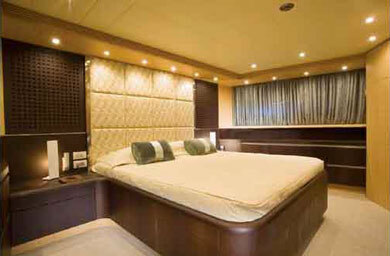 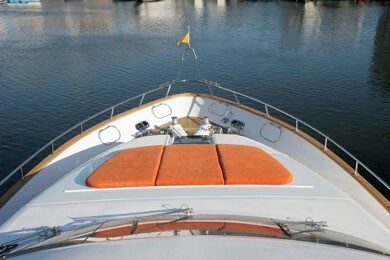 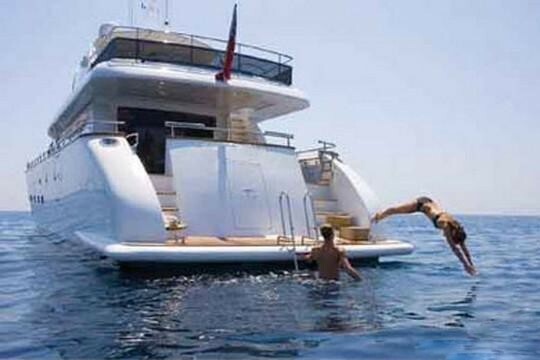 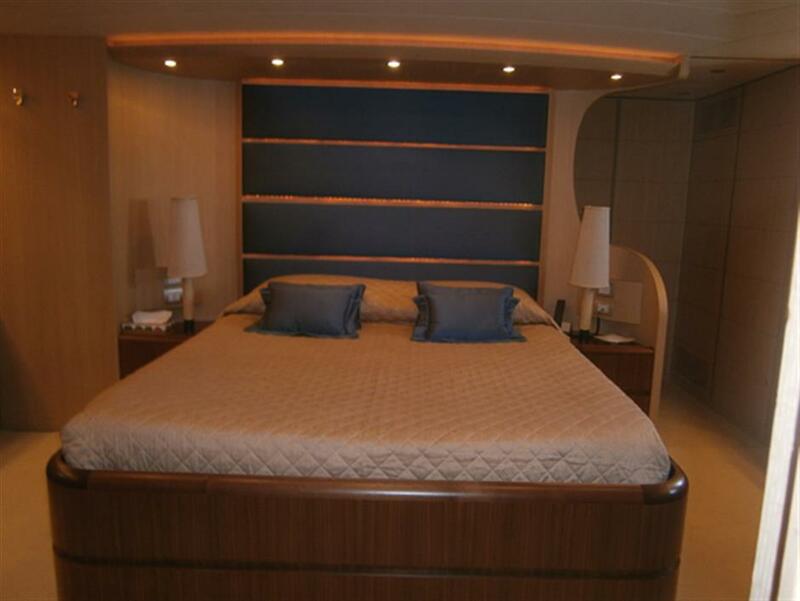 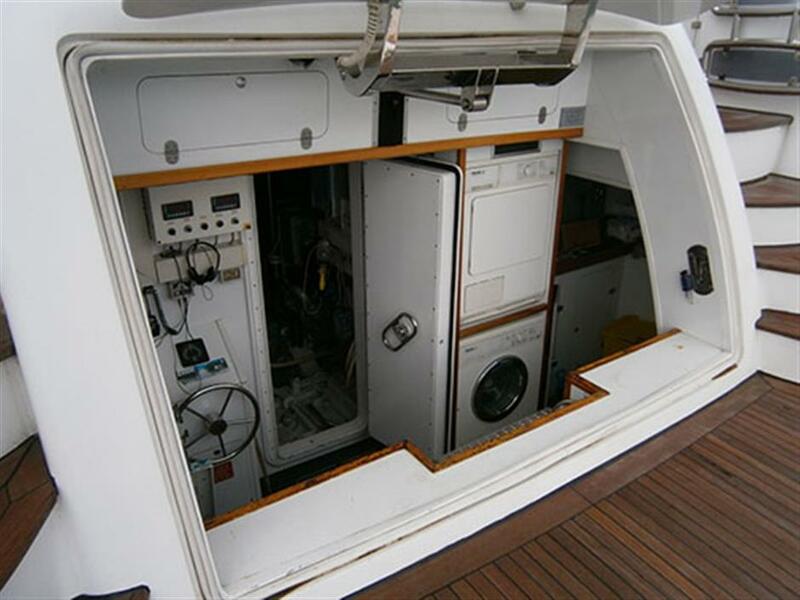 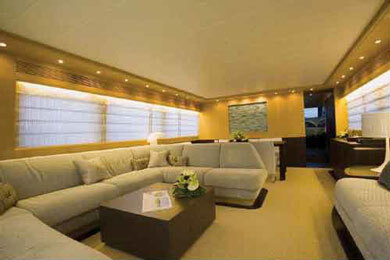 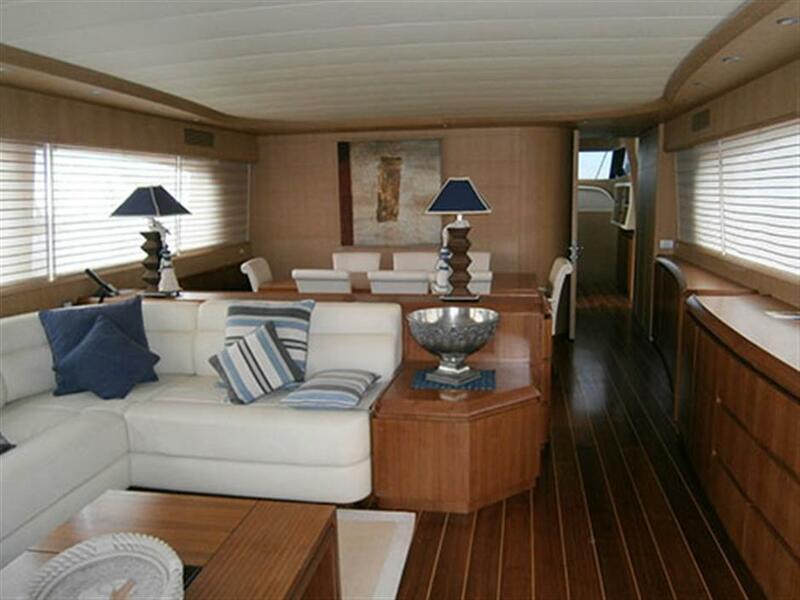 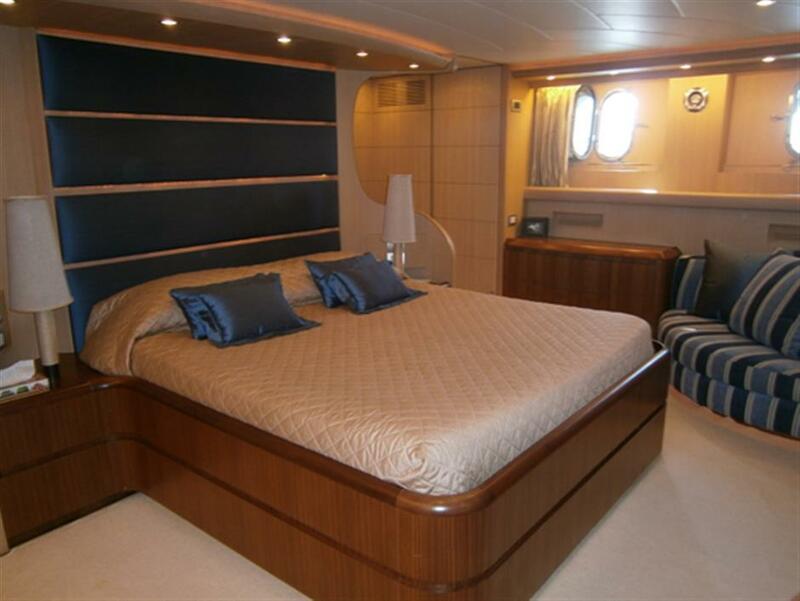 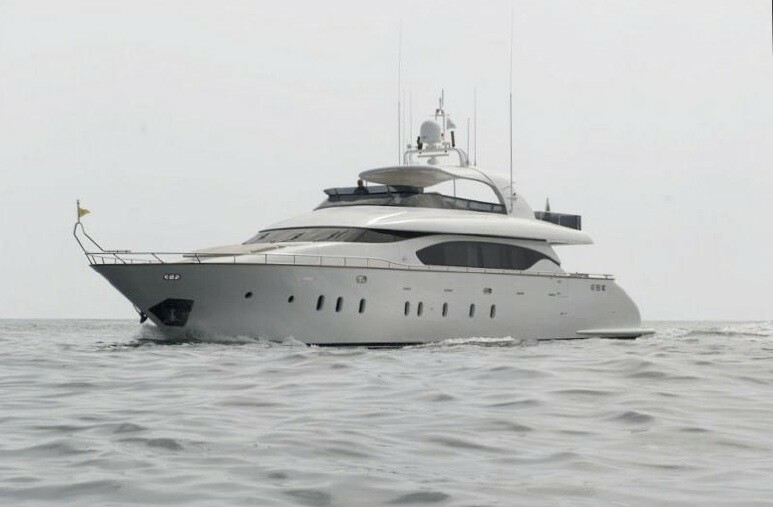 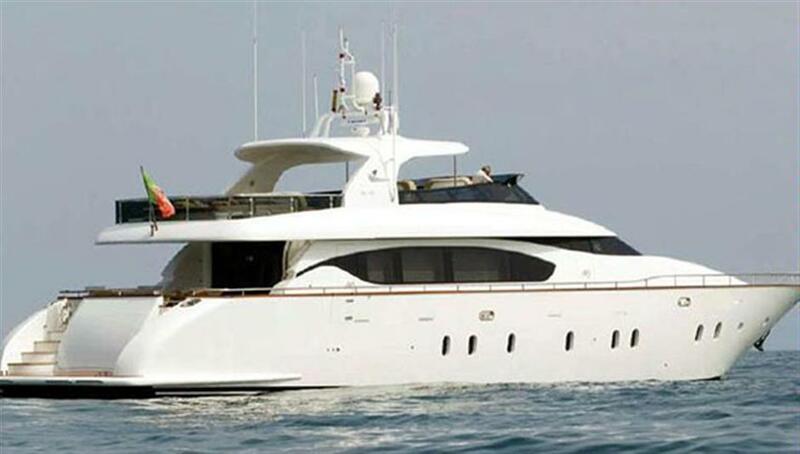 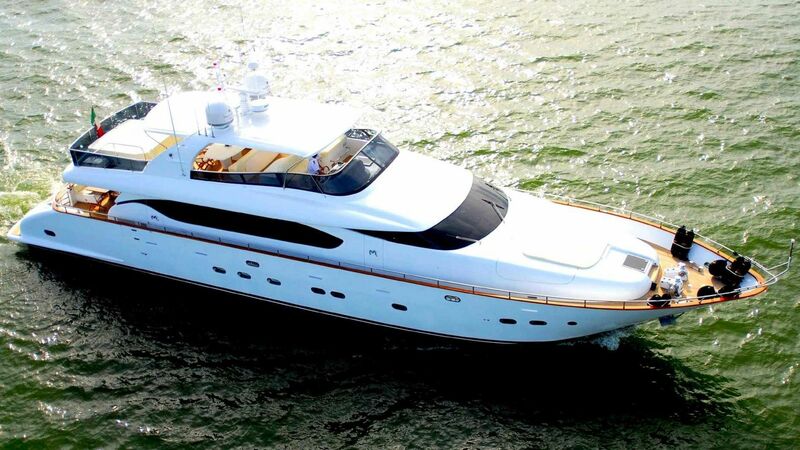 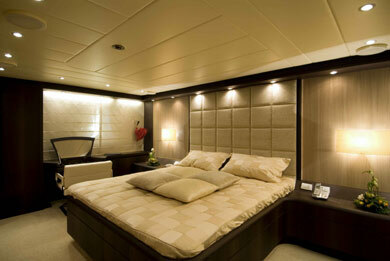 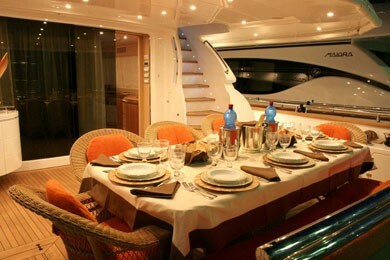 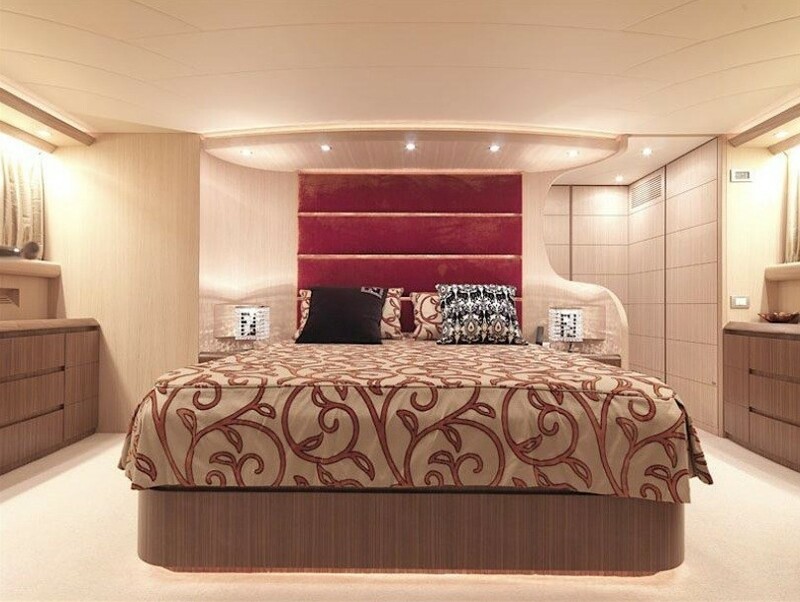 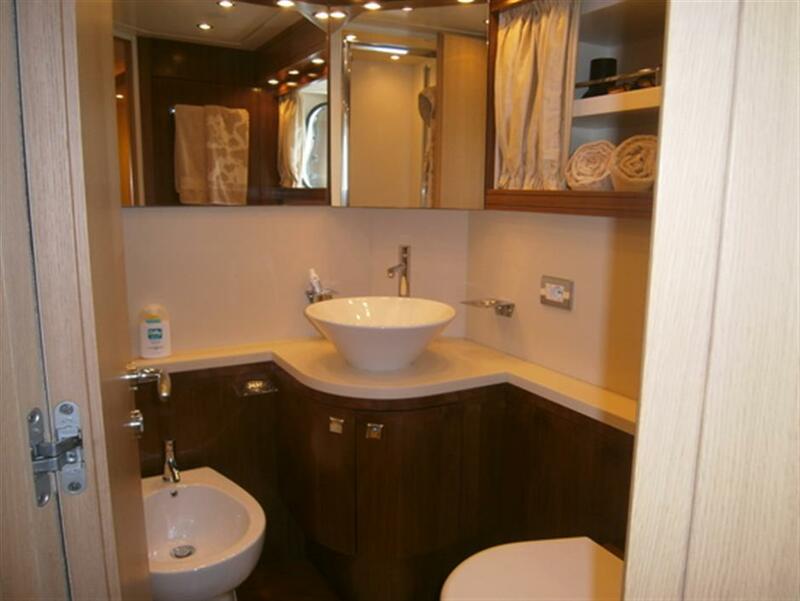 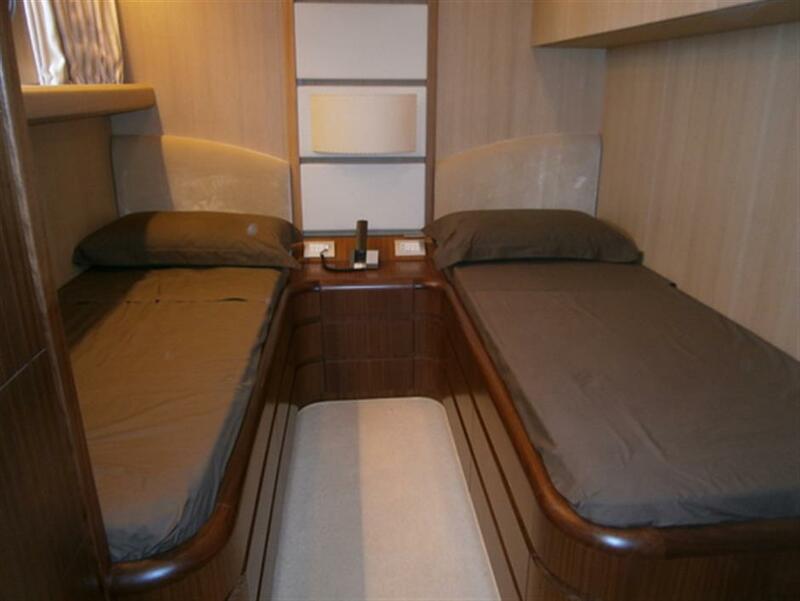 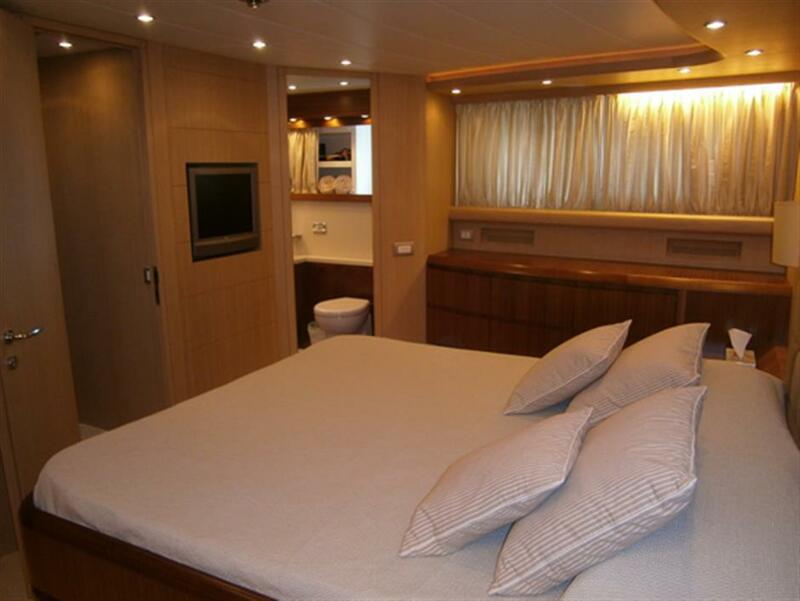 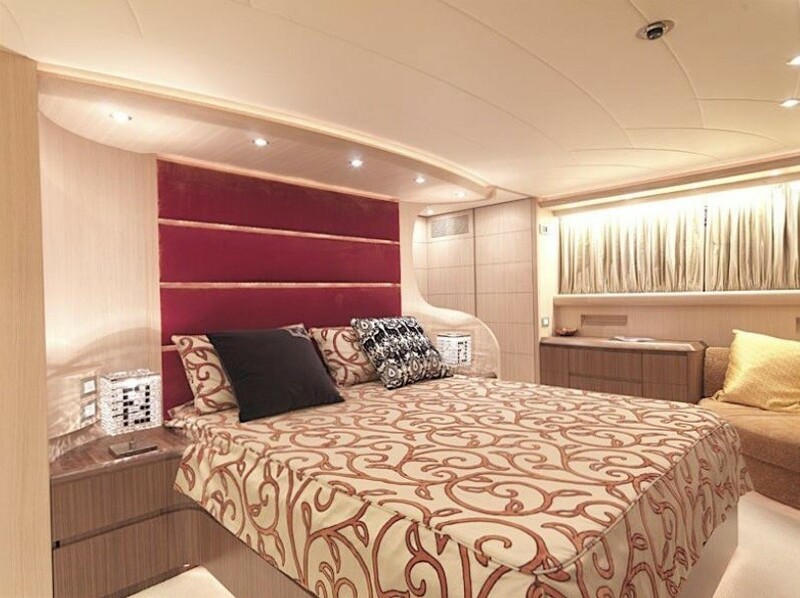 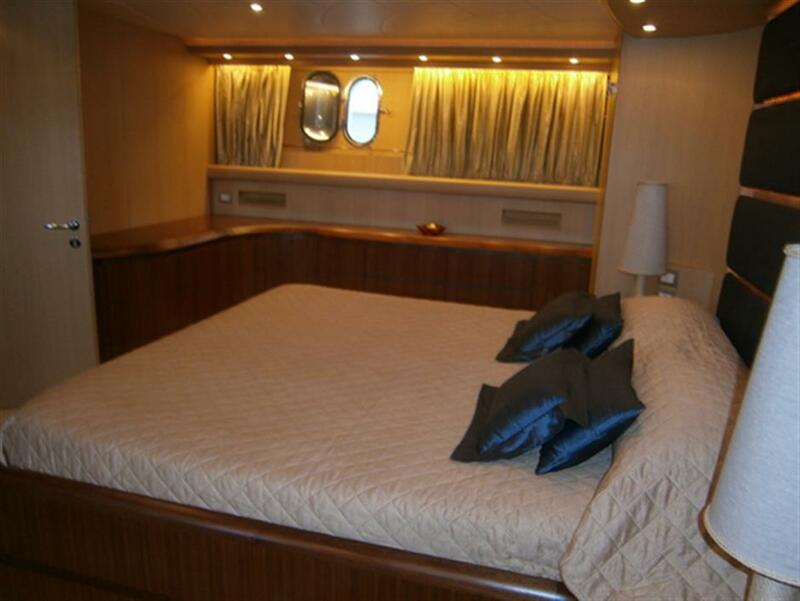 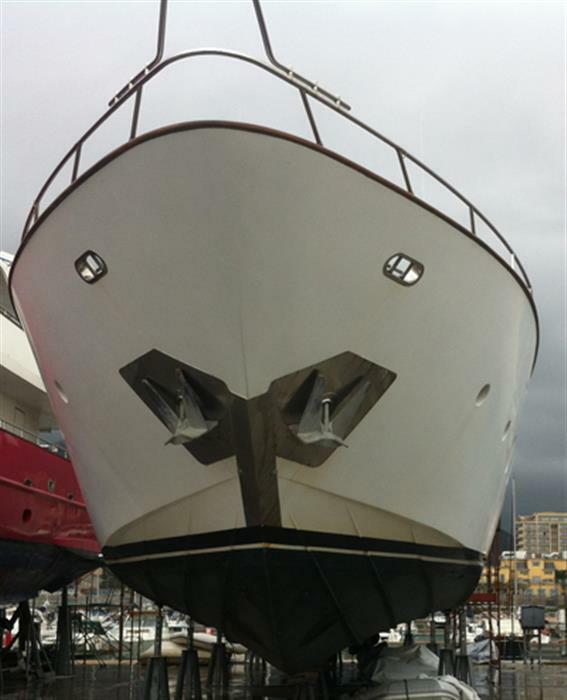 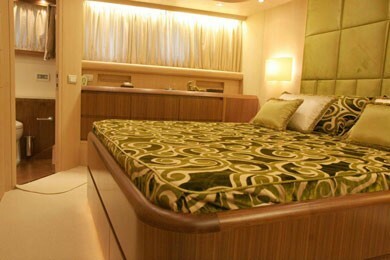 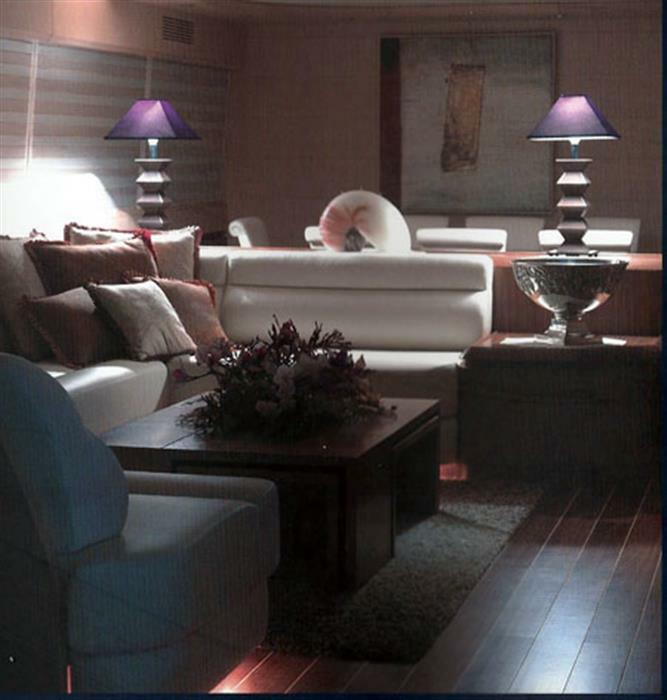 She was beautifully built by Maiora in 2007 and can accommodate 8 guests in 4 cabins. 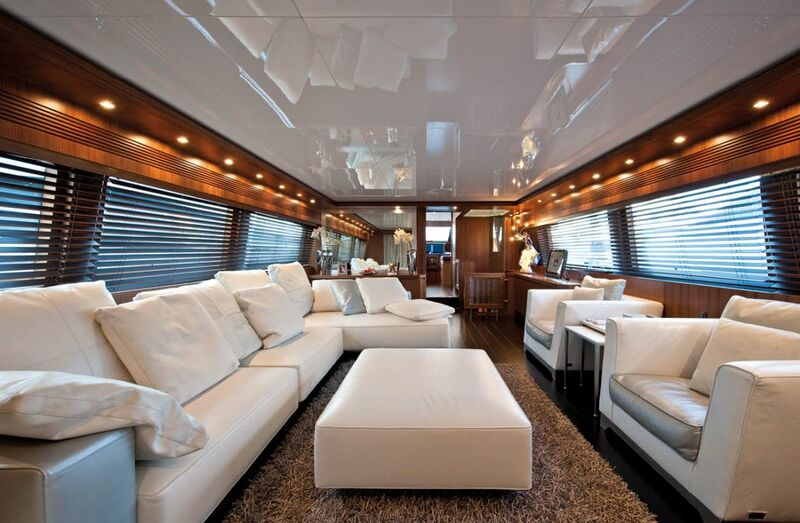 MY LIFE has a wide spacious saloon with natural oak and walnut finishings, her contrasting colours with light coloured sofas and dark wood wooden floors are very inviting and give a luxurious feel. 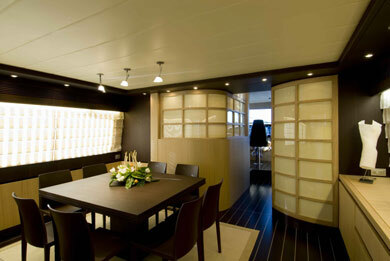 She offers exquisite soft furnishings and extensive entertaining space for her size. 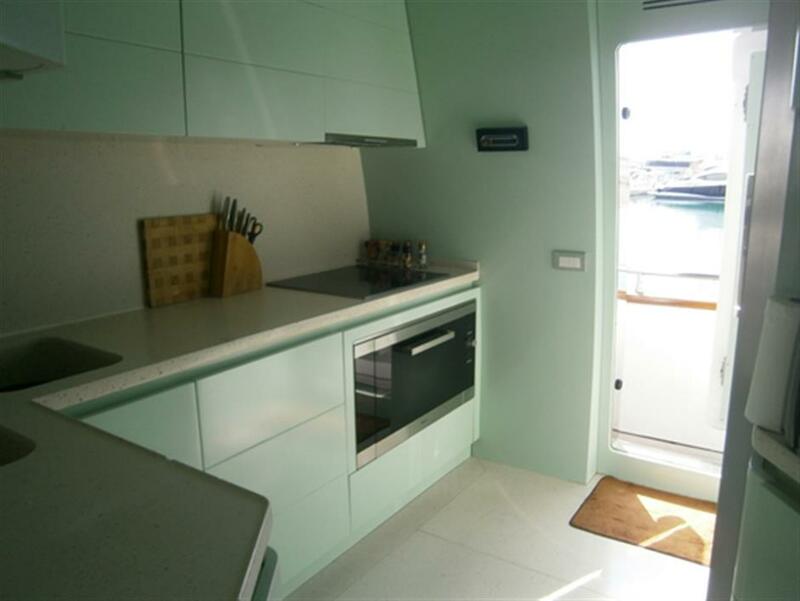 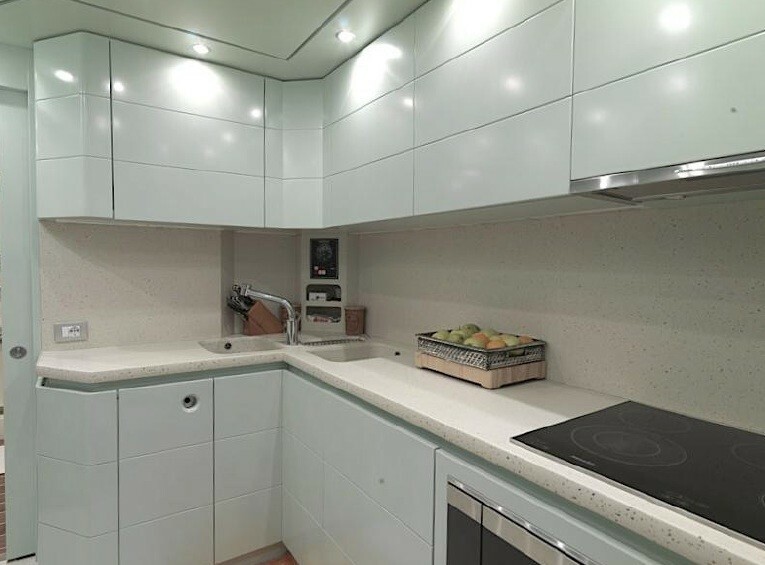 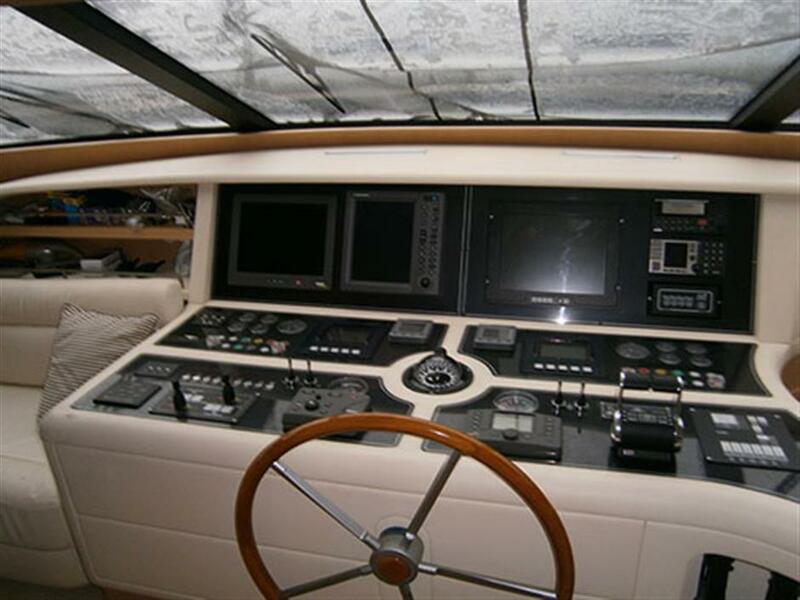 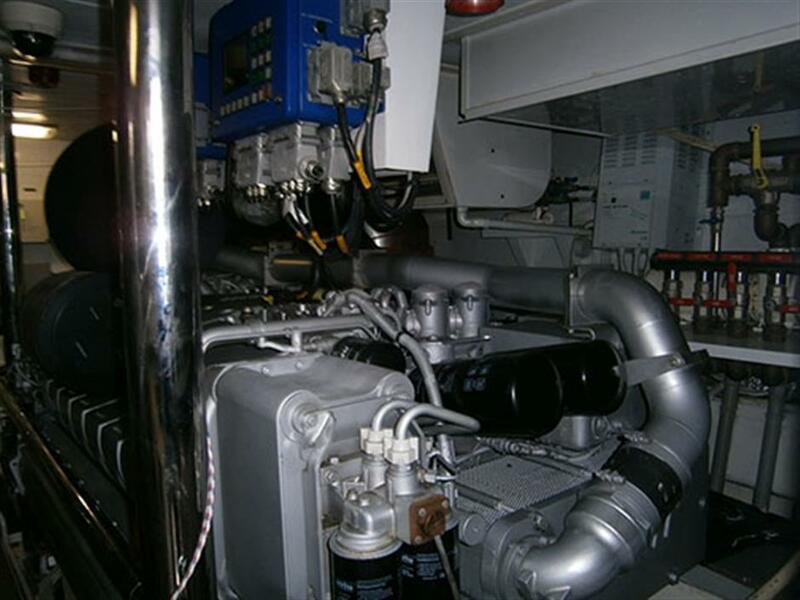 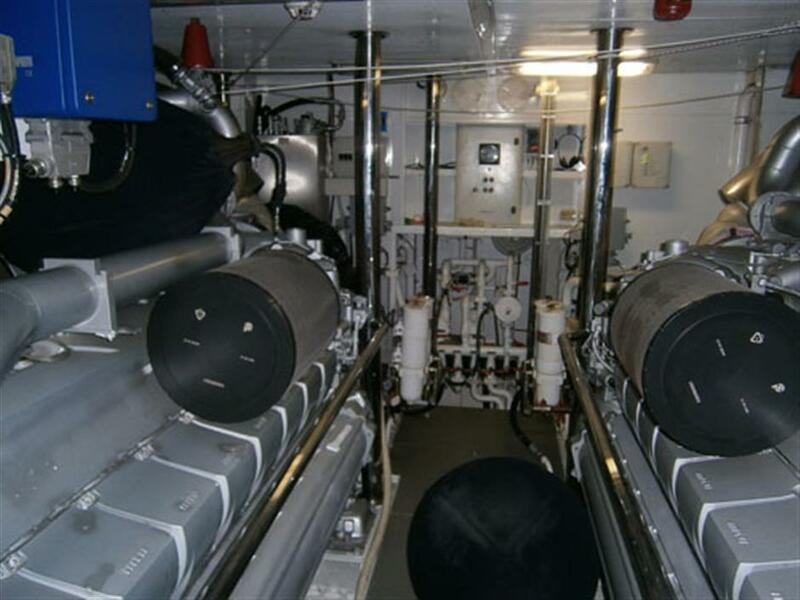 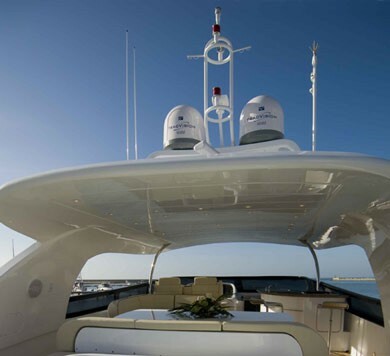 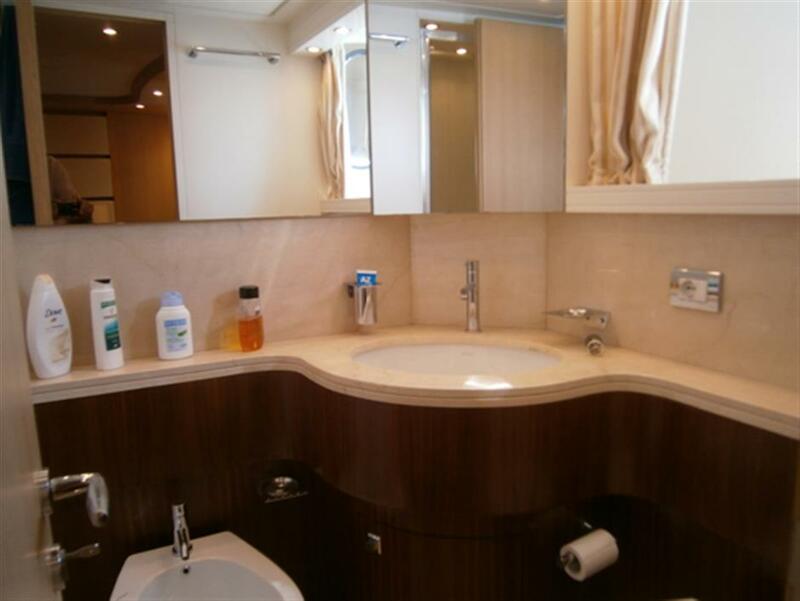 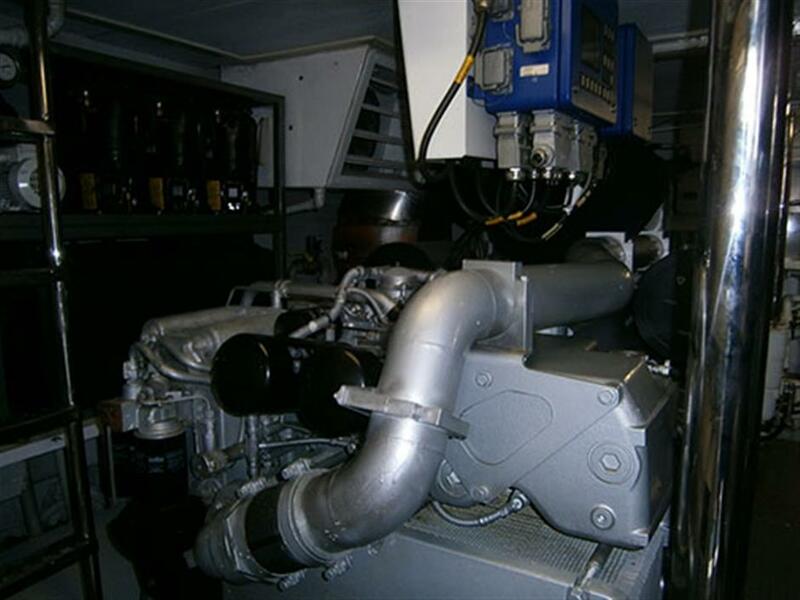 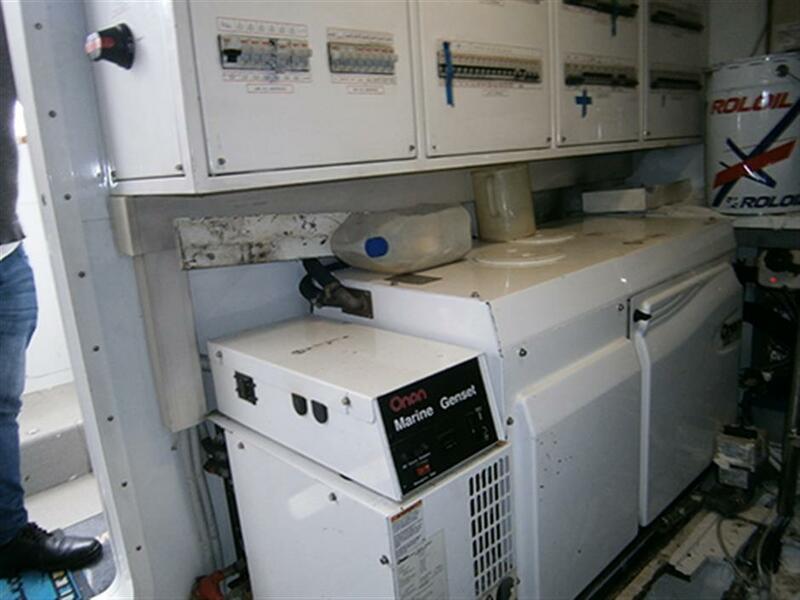 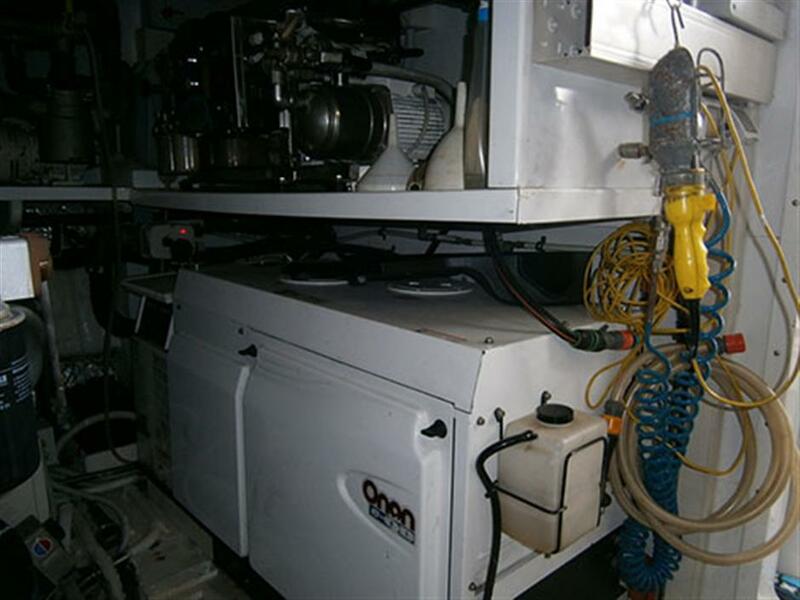 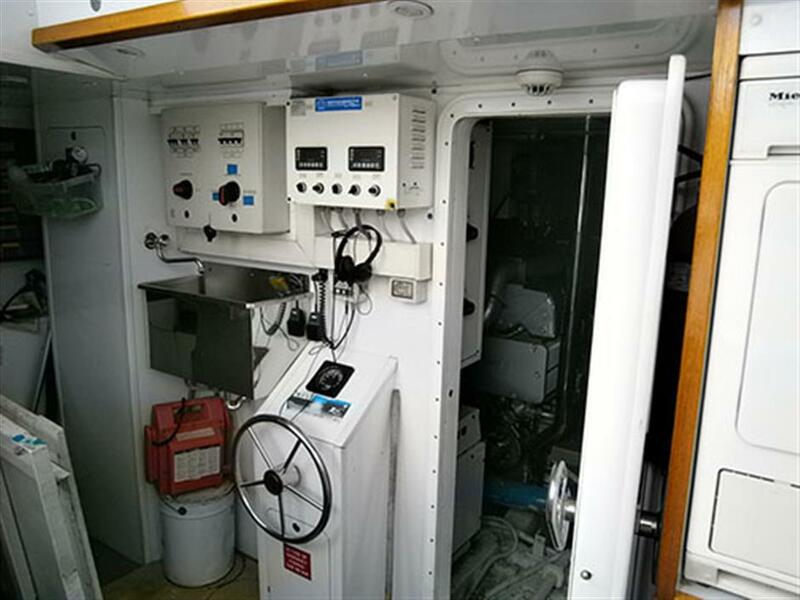 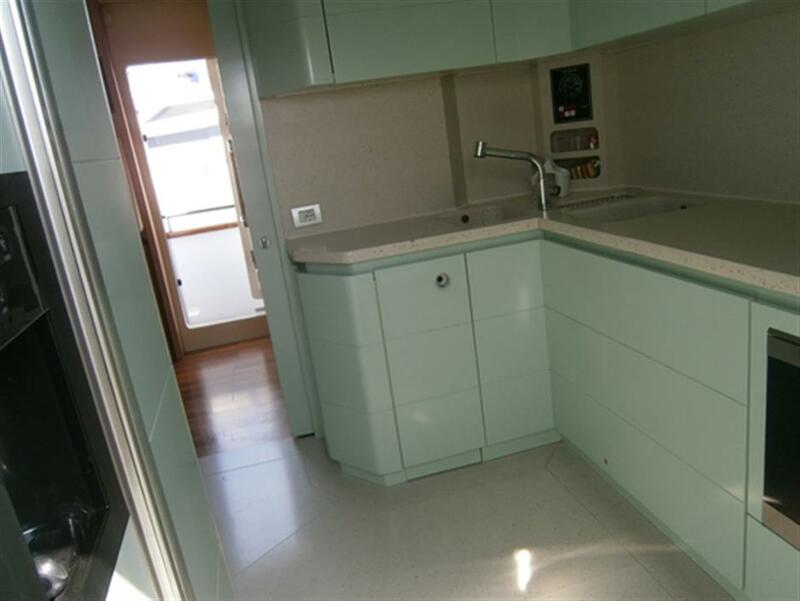 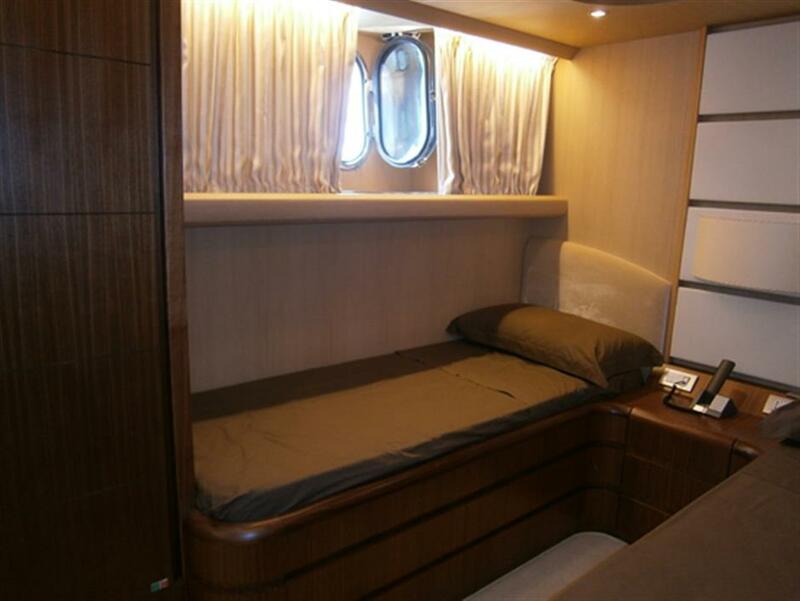 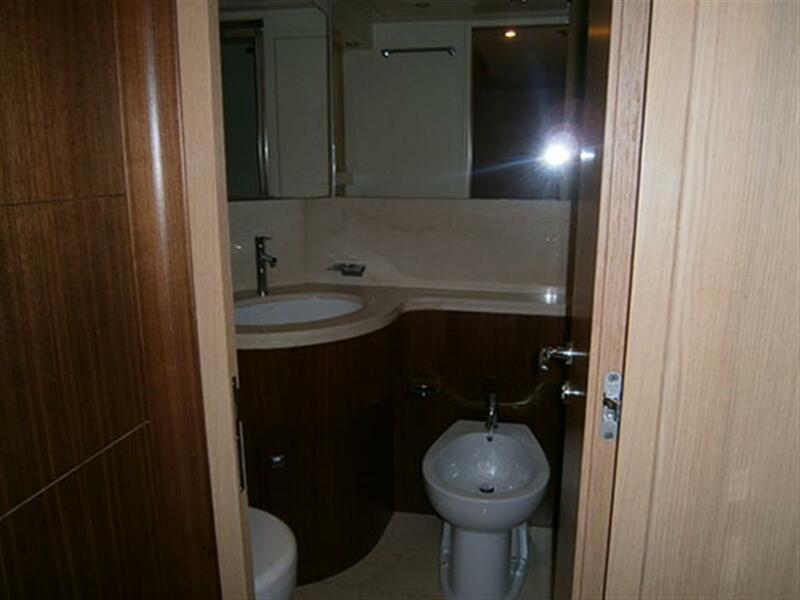 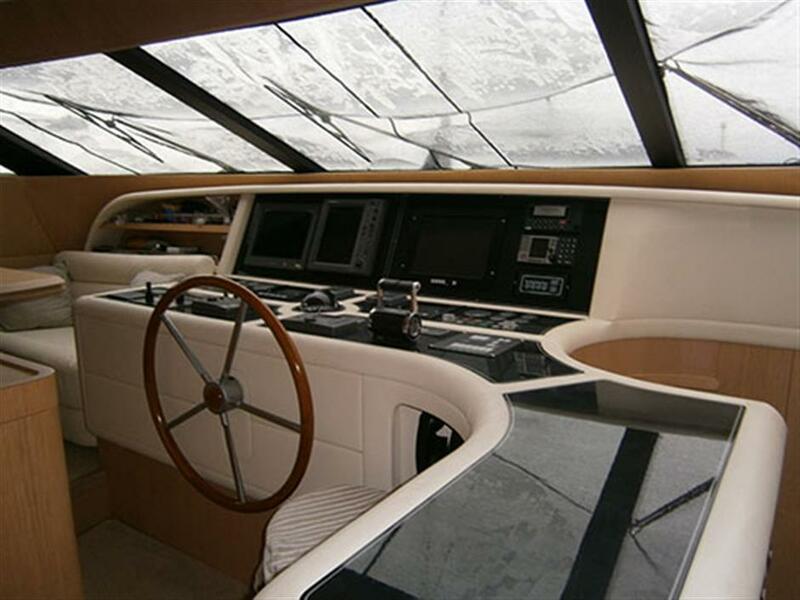 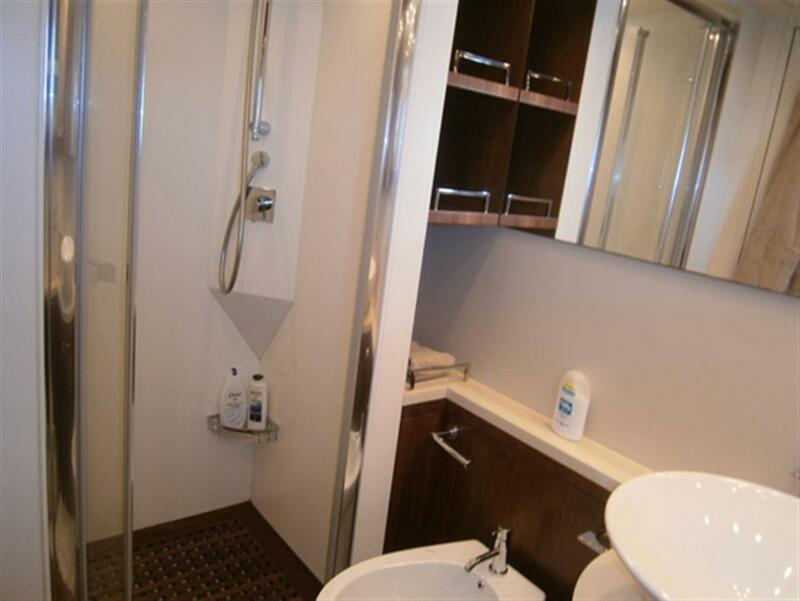 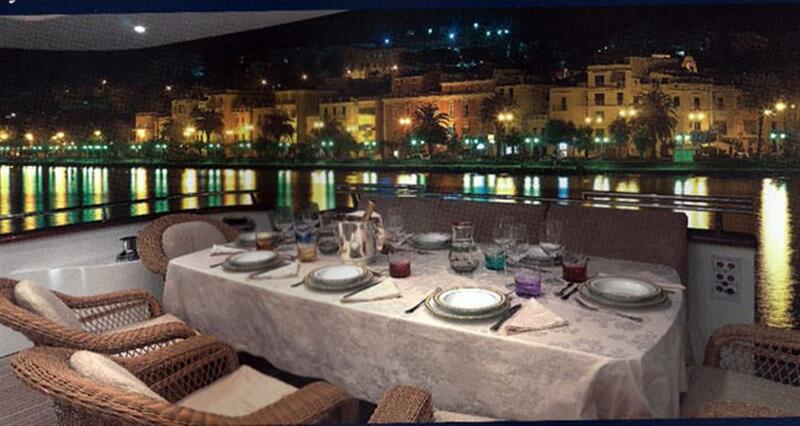 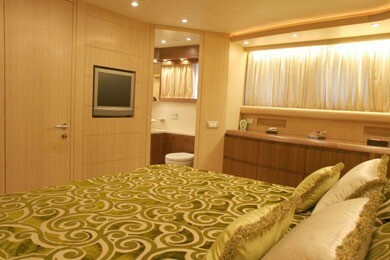 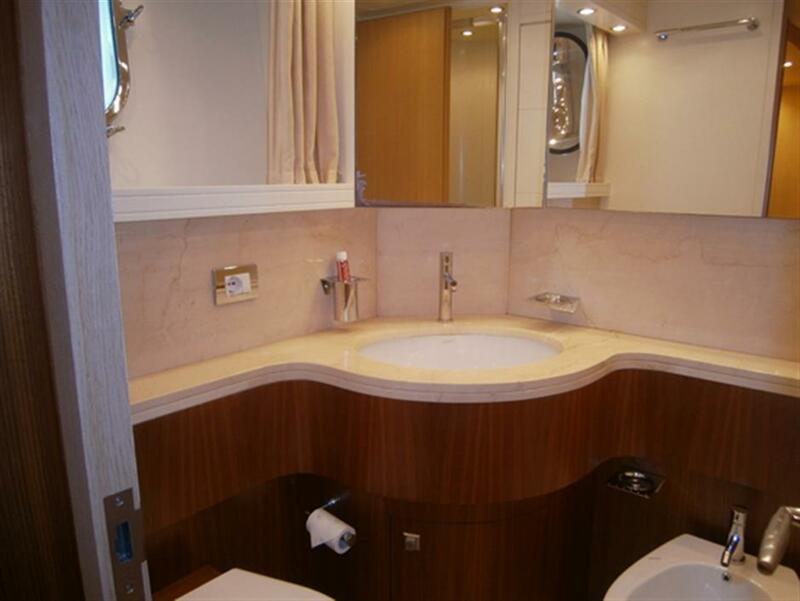 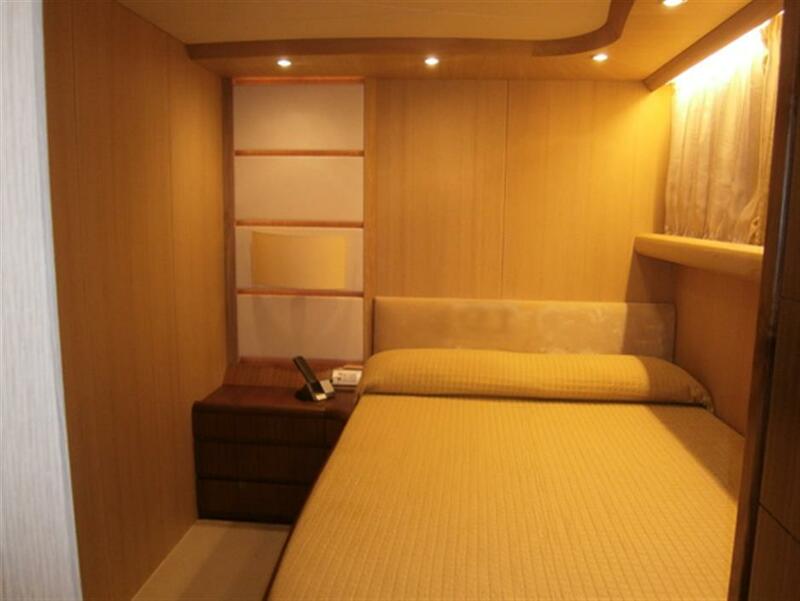 There is a very well equipped galley which is completely independent and separate. 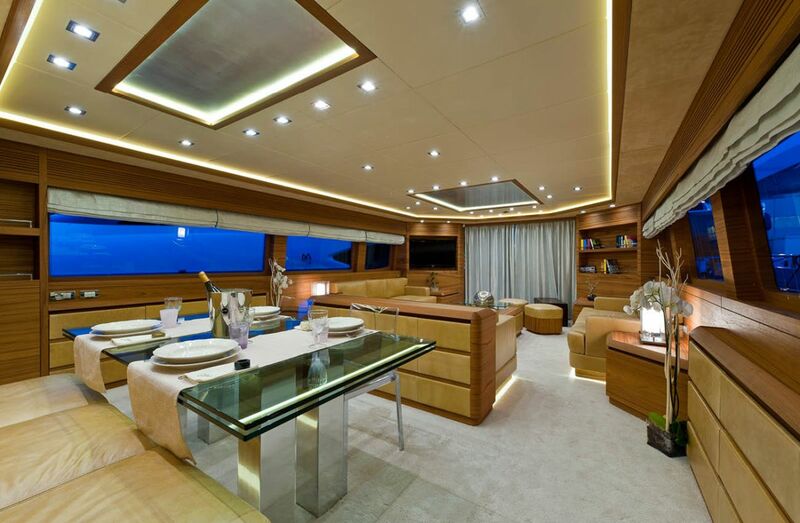 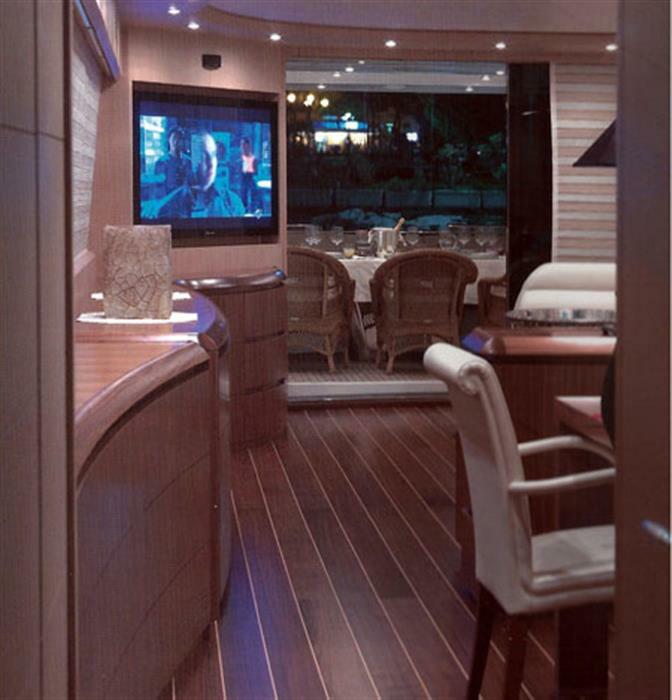 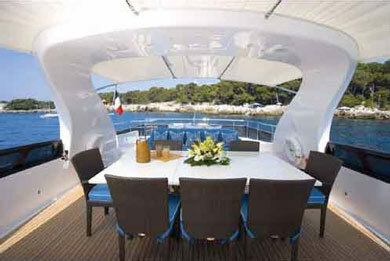 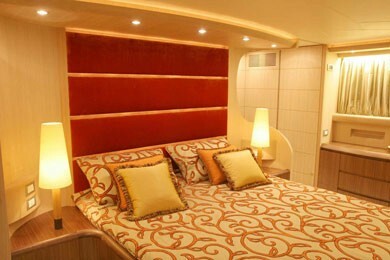 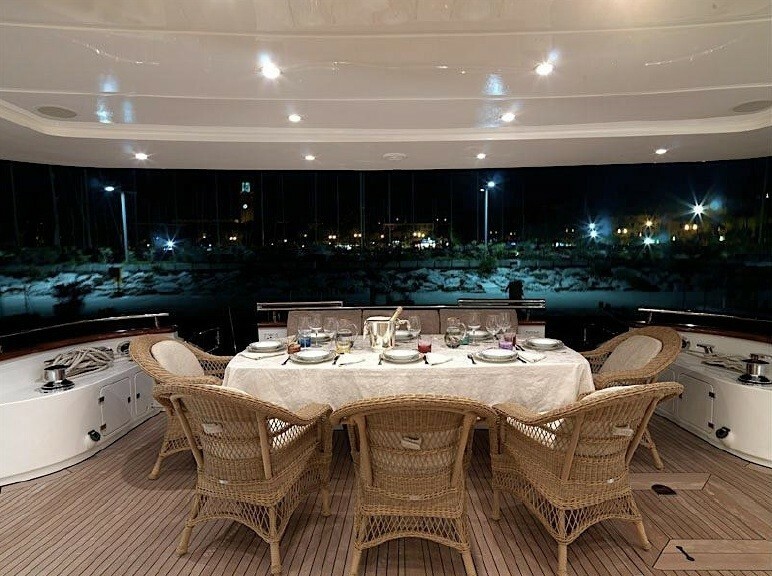 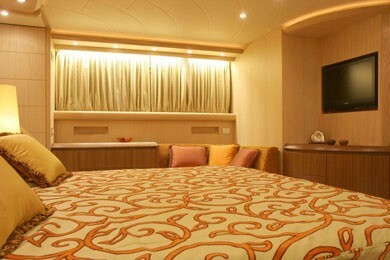 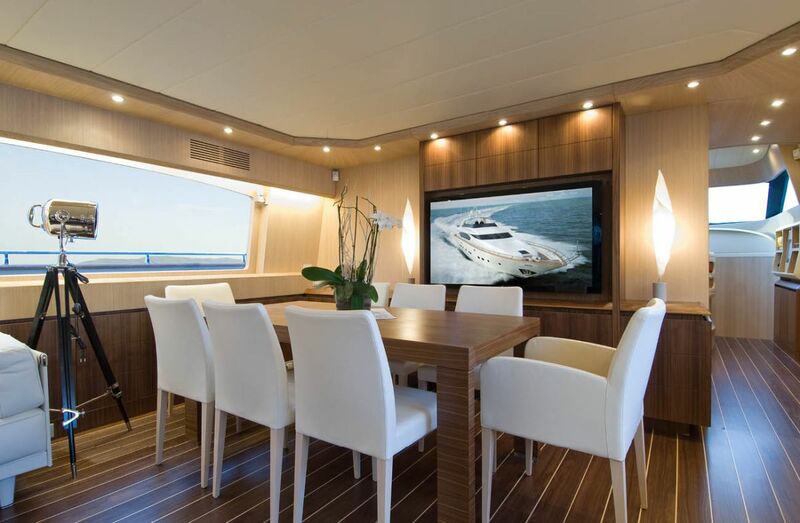 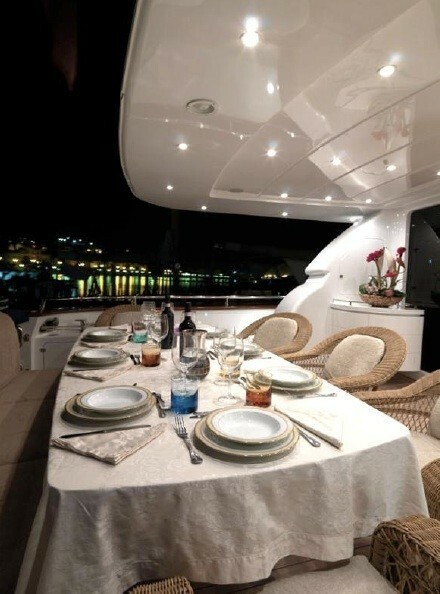 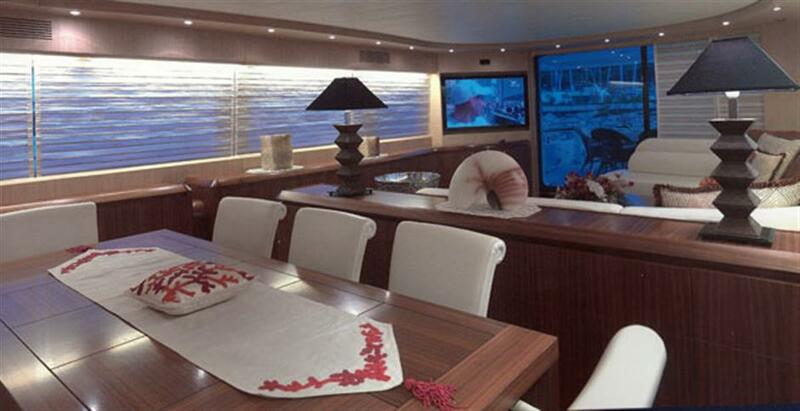 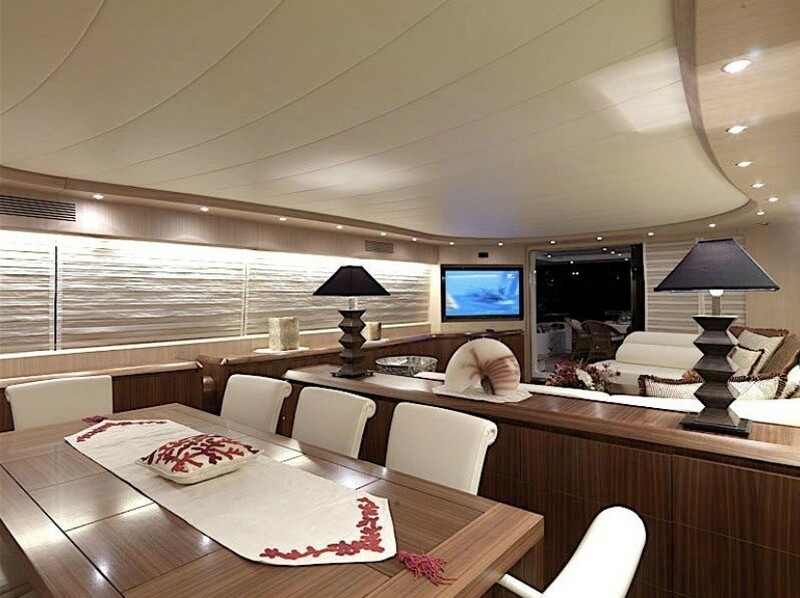 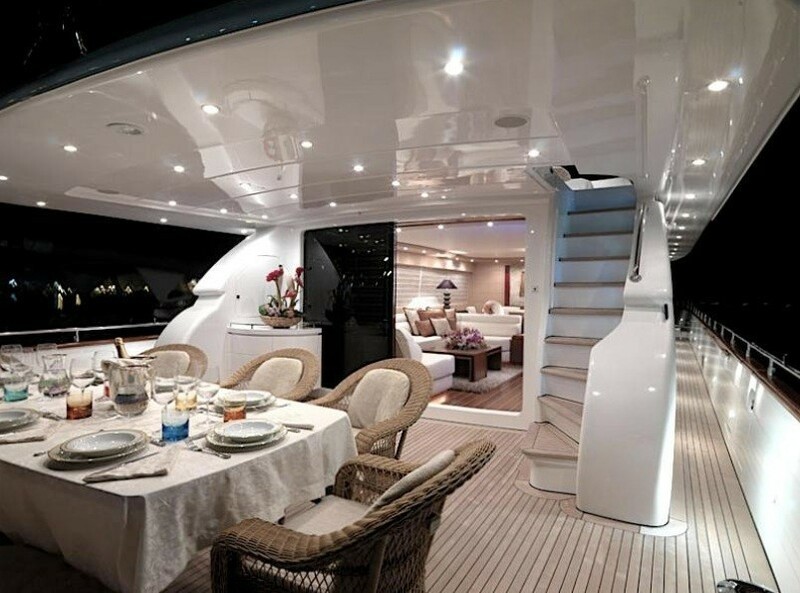 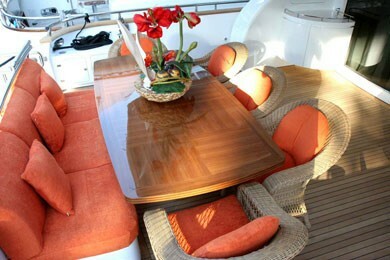 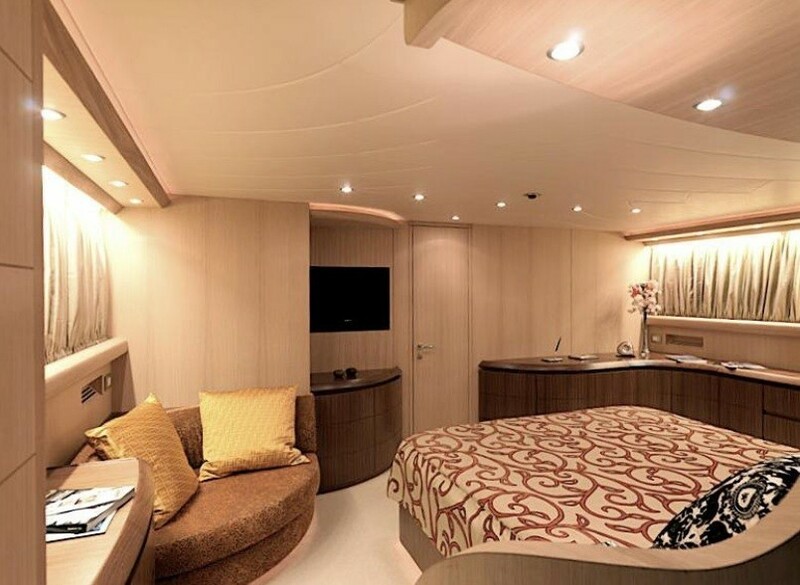 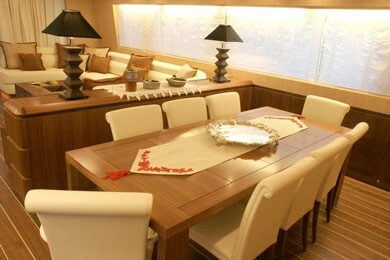 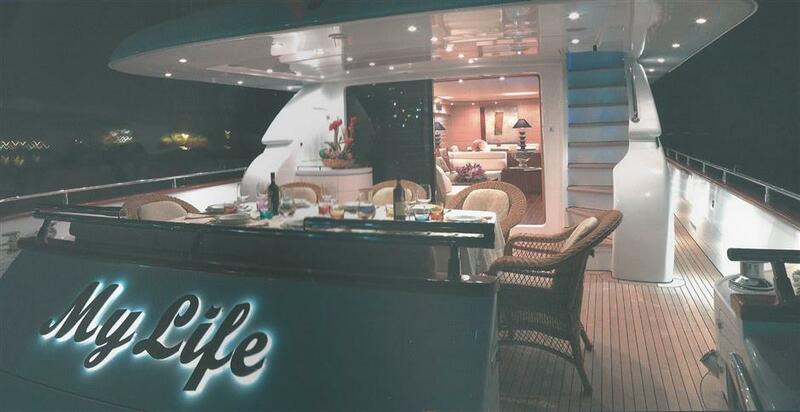 She has a wide dining area for 8 guests and a fully-equipped galley in an independent and separated zone. 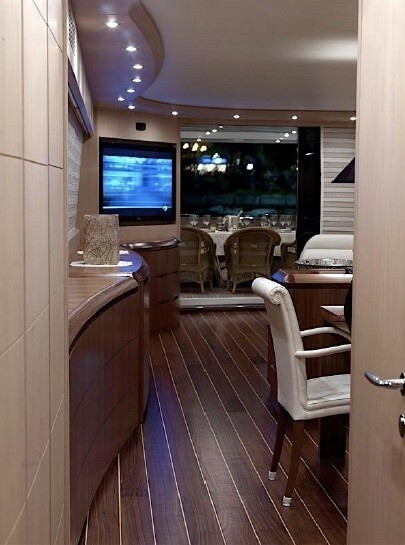 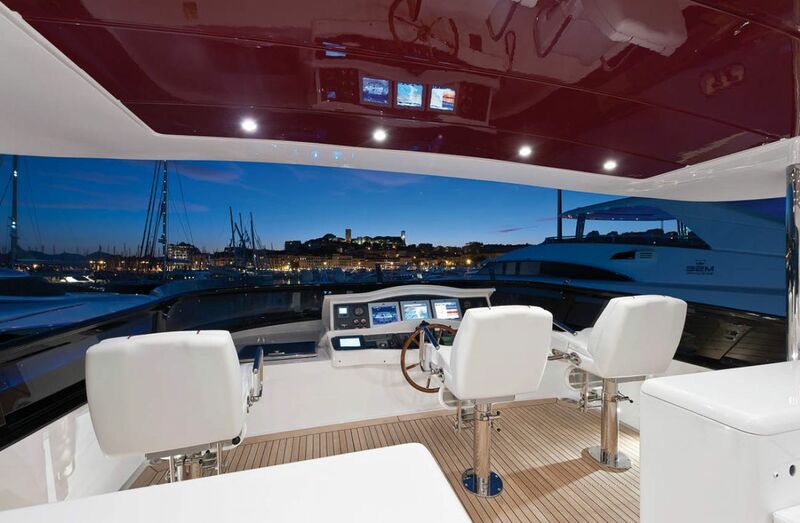 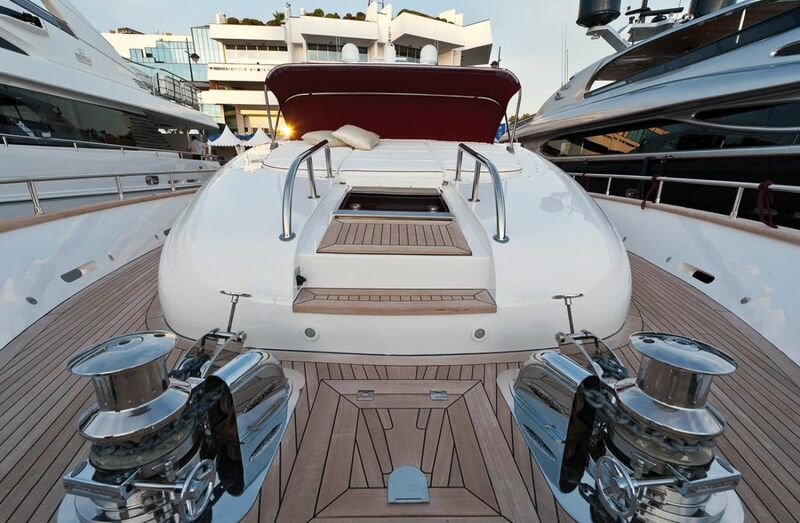 Her exterior spaces are as inviting and attractive as the interior, with the flybridge and aft area both used for al-fresco dining and general relaxation during gentle cruising. 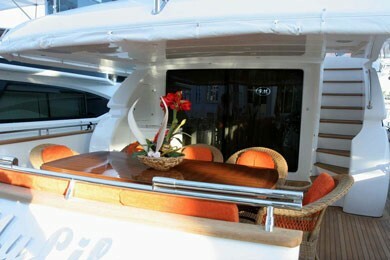 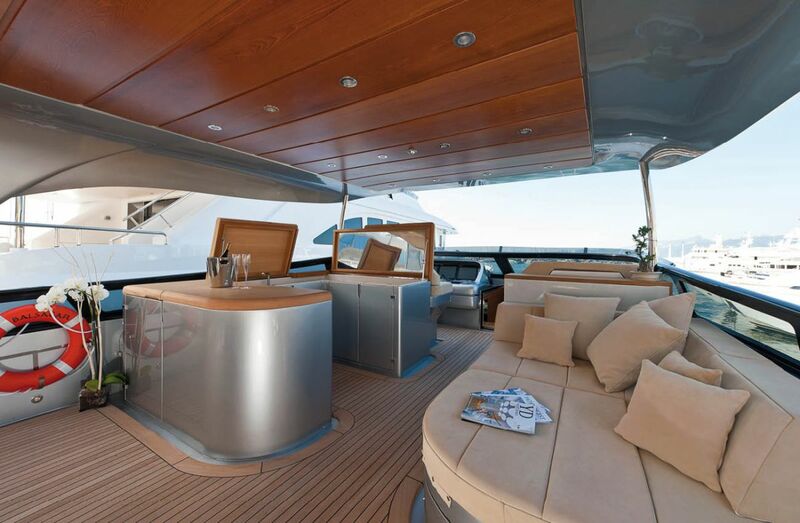 The deck space is fantastic - with a large table in the cockpit and a big flybridge with a large sun bathing area and dining under the bimini in the shade. 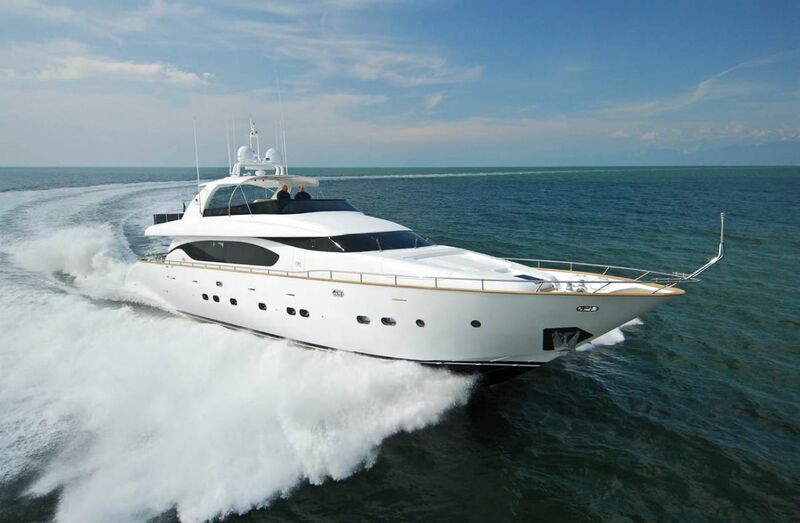 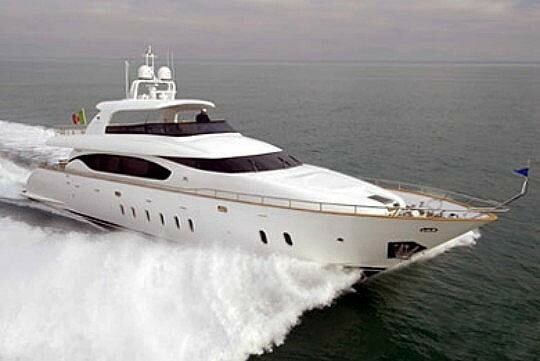 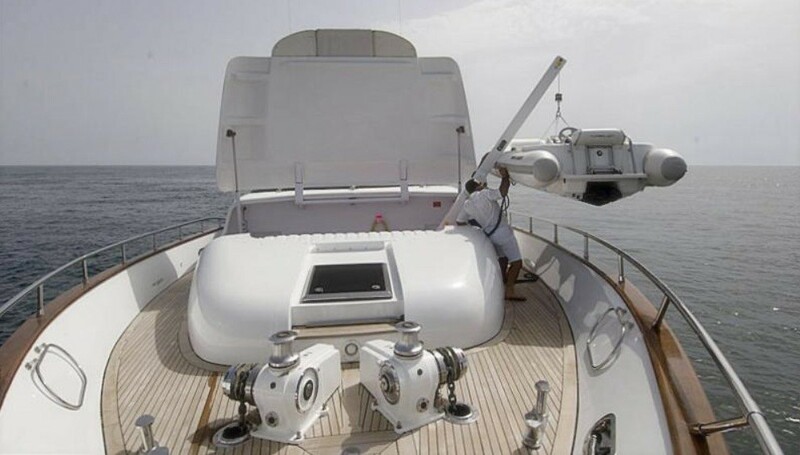 Her fast cruising speed of 26 knots is bound to get you to your next destination within no time. 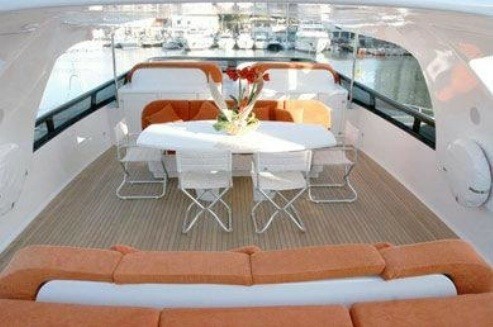 MY LIFE has 4 cabins to accommodate 8 guests. 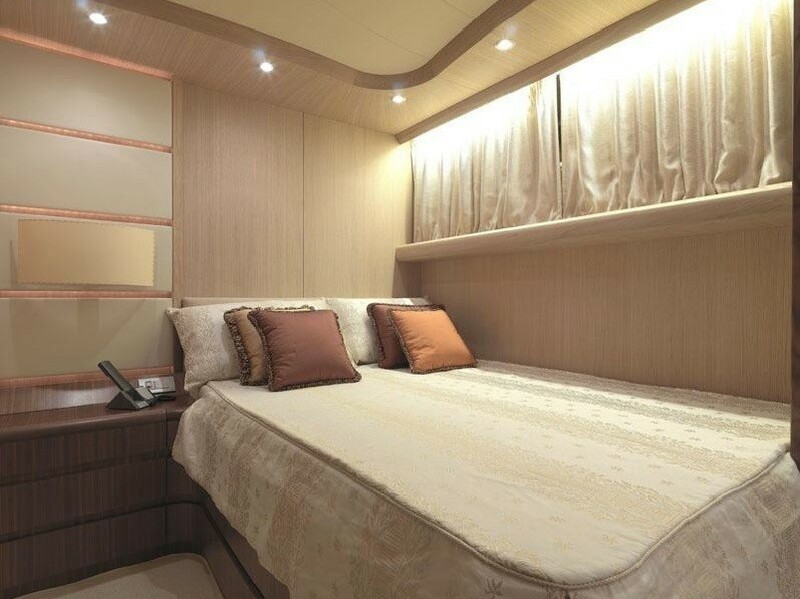 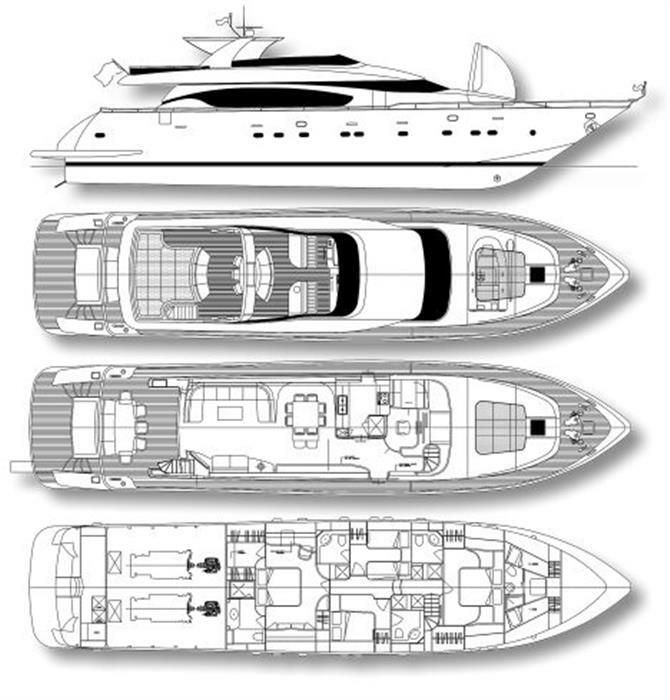 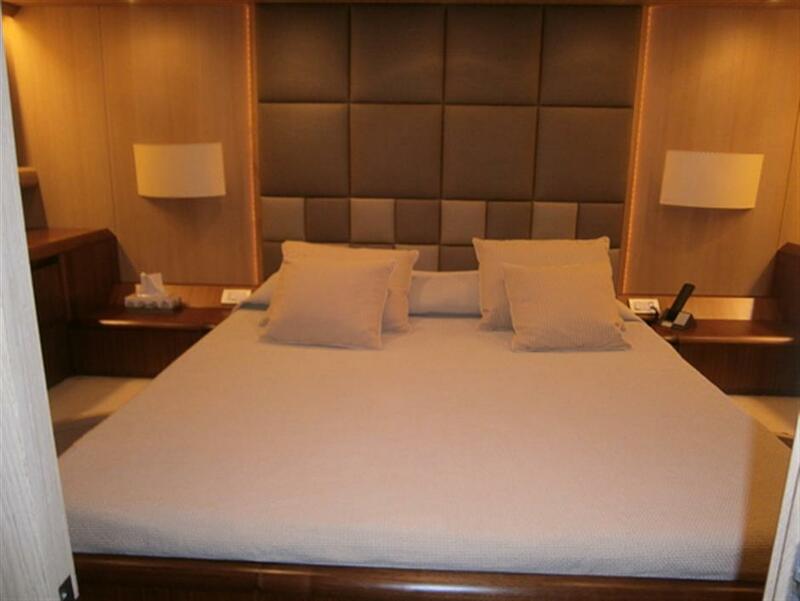 There is a master double cabin, VIP double cabin and guest double cabin. 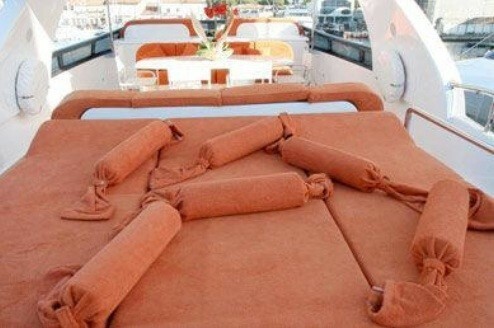 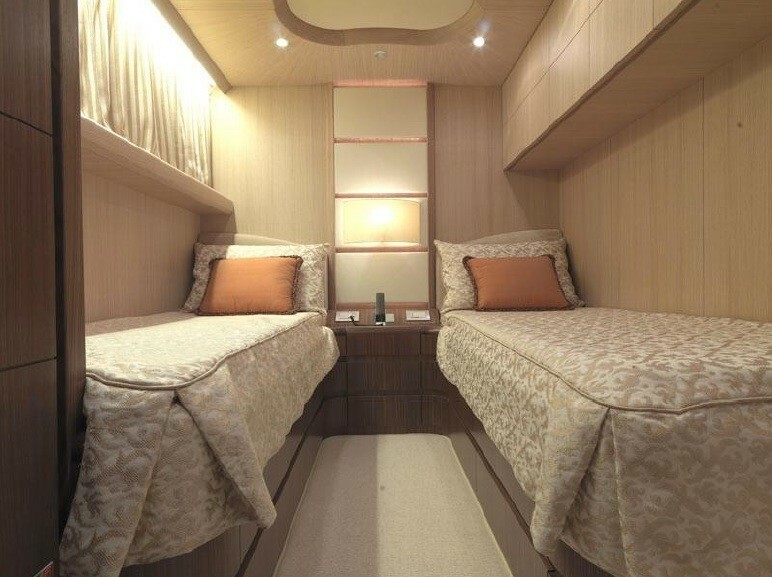 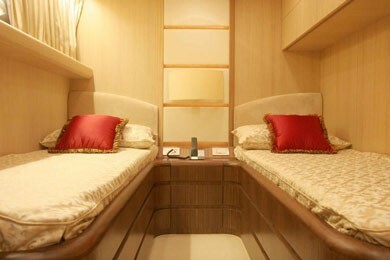 The fourth cabin is composed of twin beds. 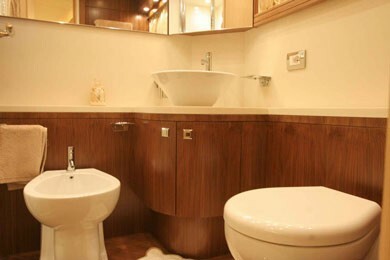 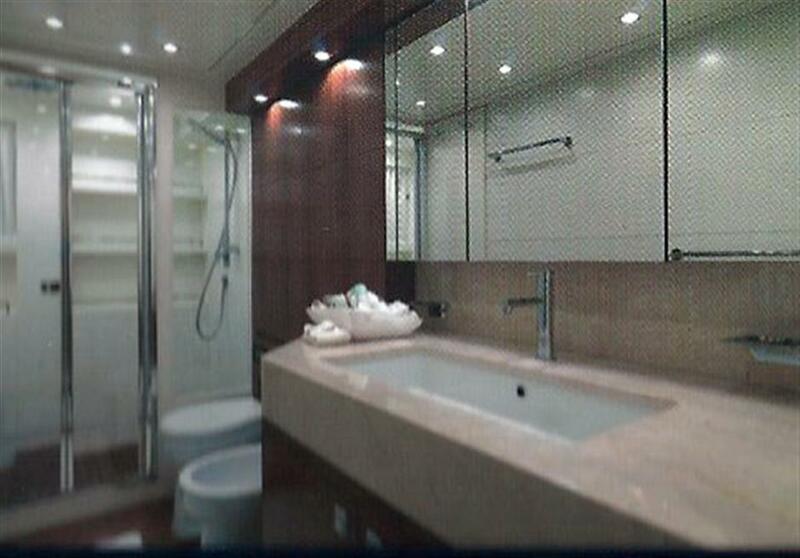 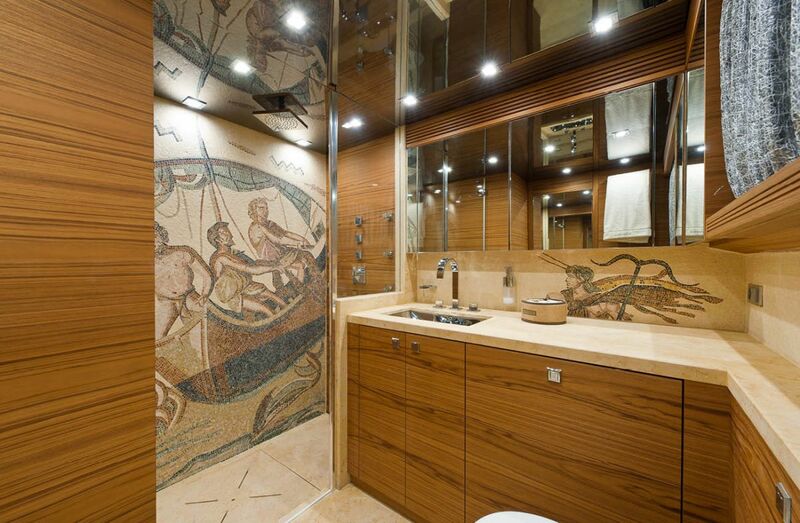 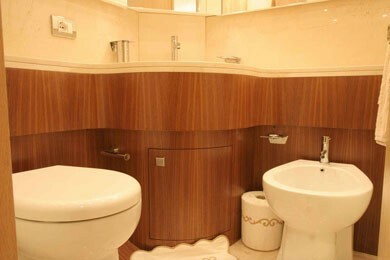 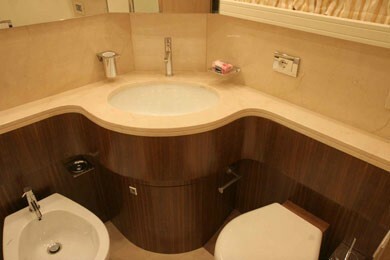 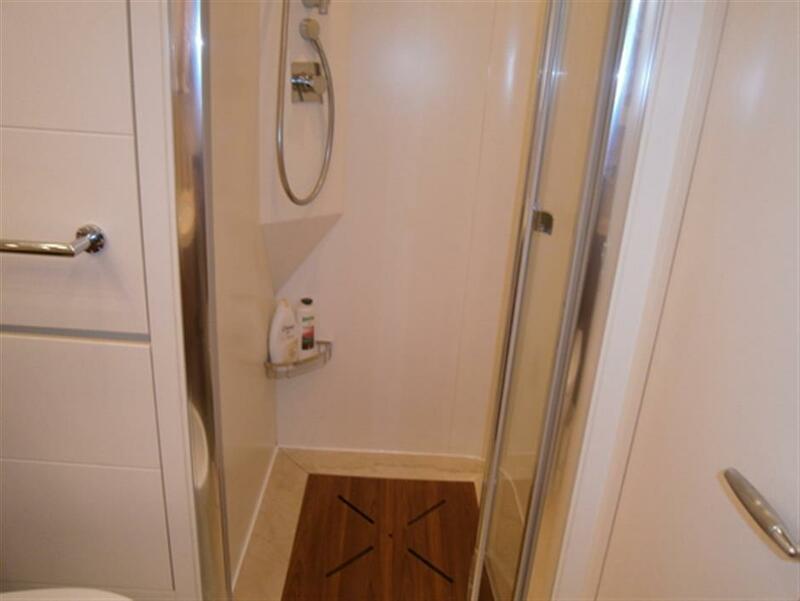 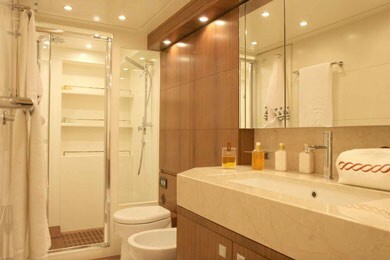 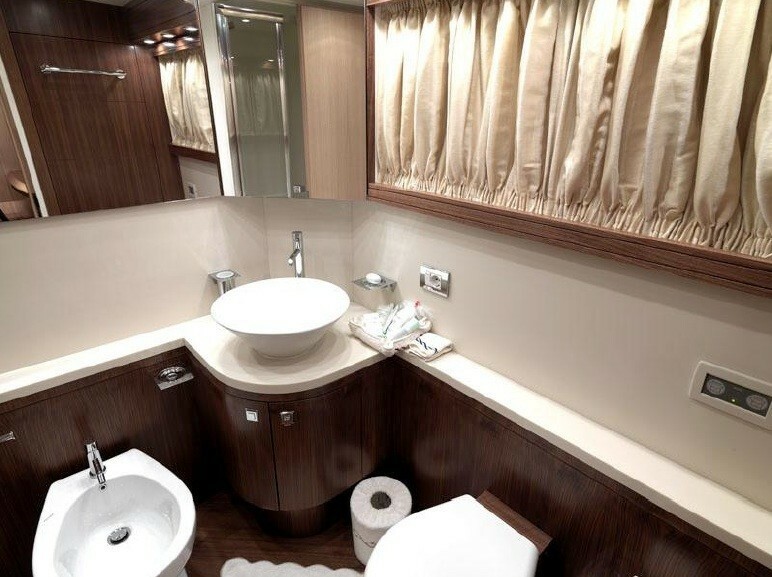 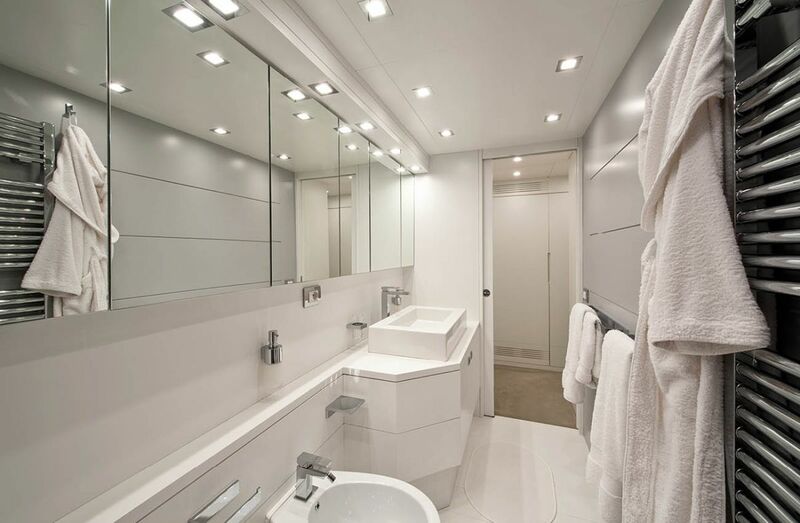 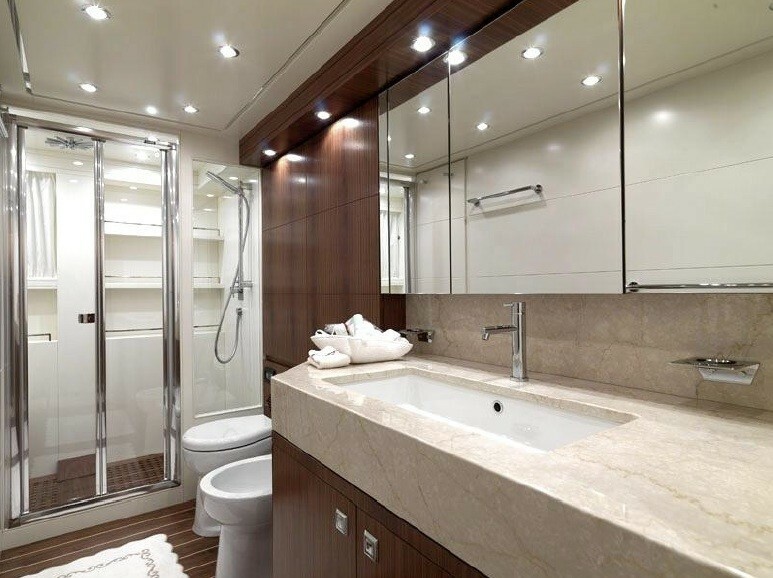 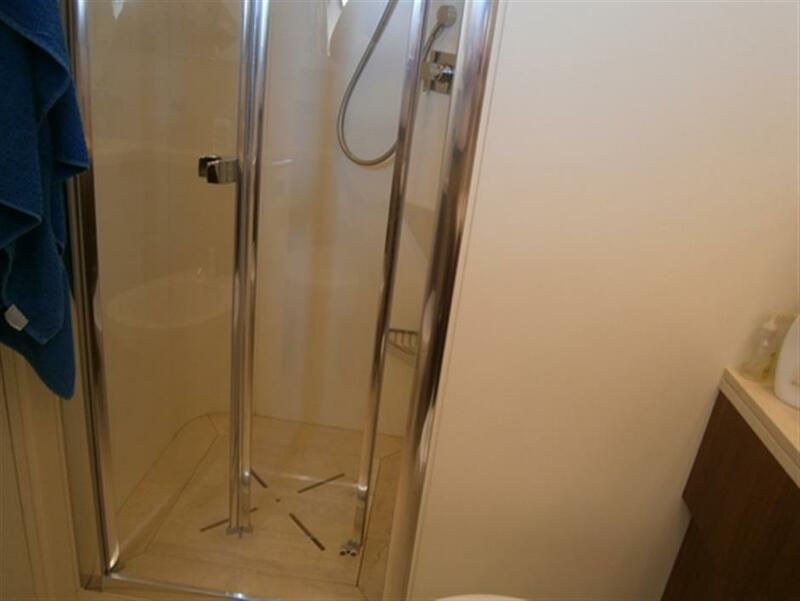 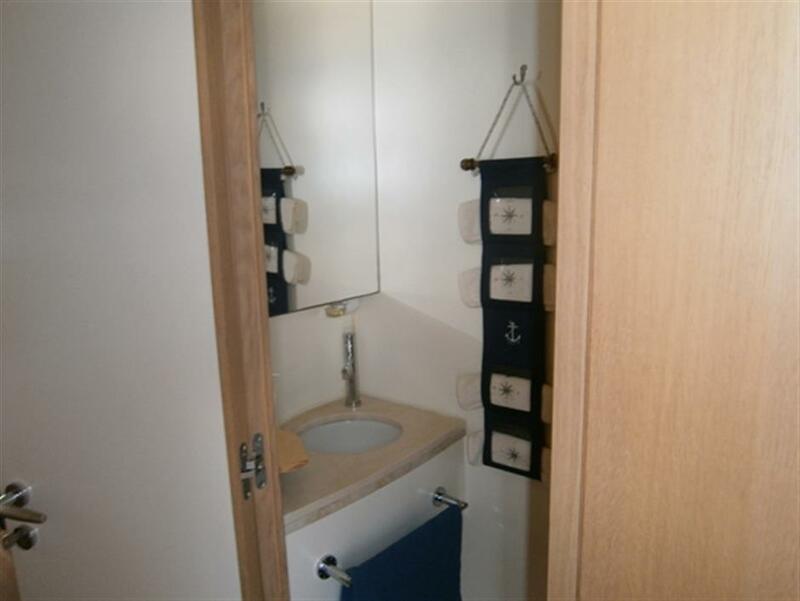 All cabins have private ensuites with showers and bidets. 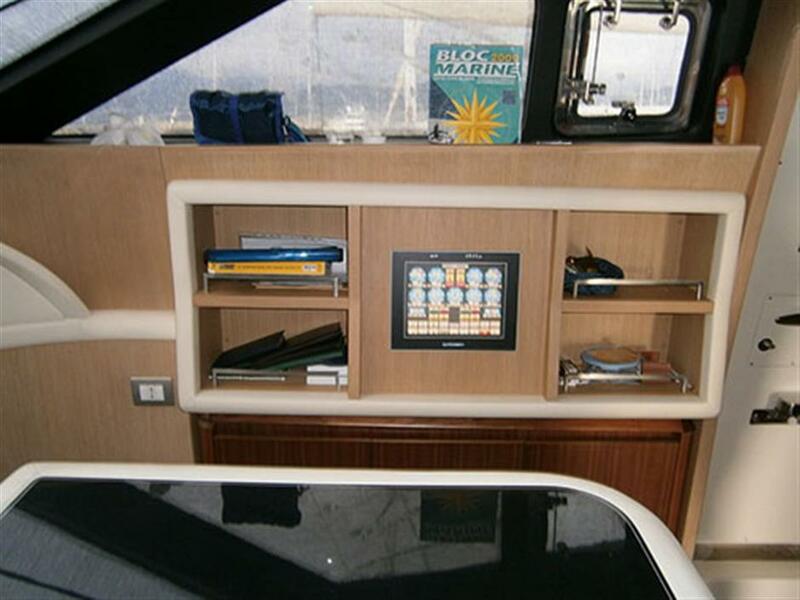 My Life has an array of toys on board including: Water skis, Inflatable canoes, Jet ski, Donuts, Snorkelling gear. 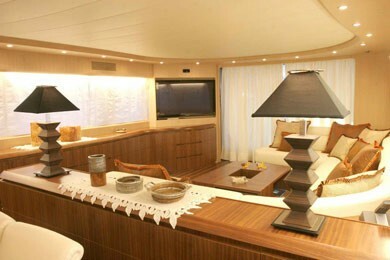 On board there are also internet facilities including WIFI, fax, printer and Ipod connection.